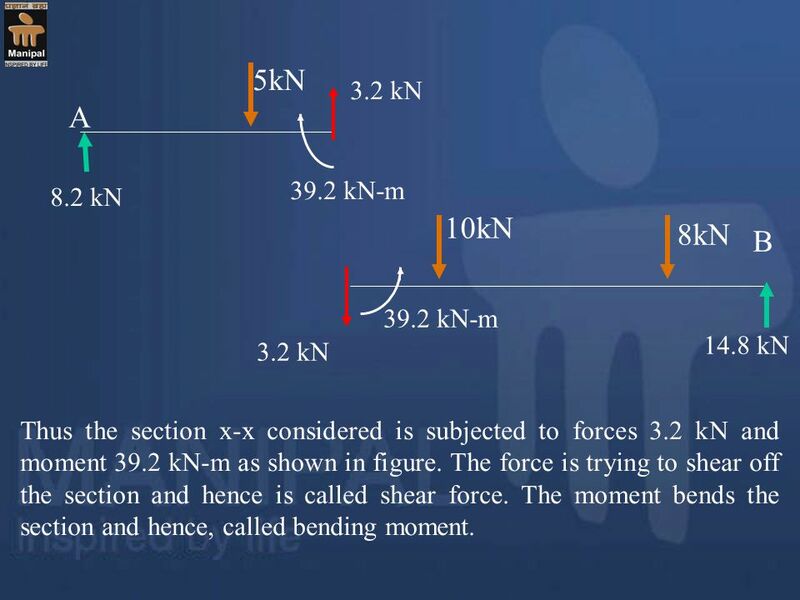 4 5kN A 8.2 kN 10kN 8kN B 14.8 kN 3.2 kN 39.2 kN-m Thus the section x-x considered is subjected to forces 3.2 kN and moment 39.2 kN-m as shown in figure. 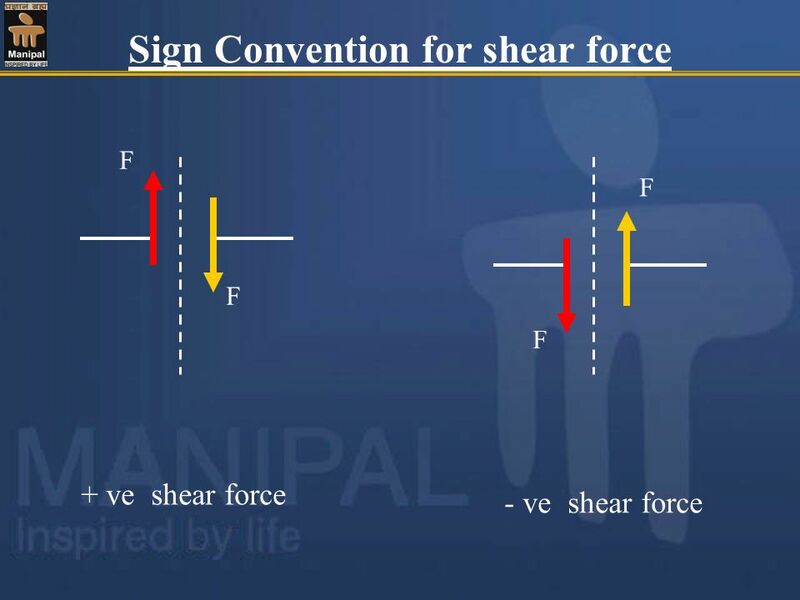 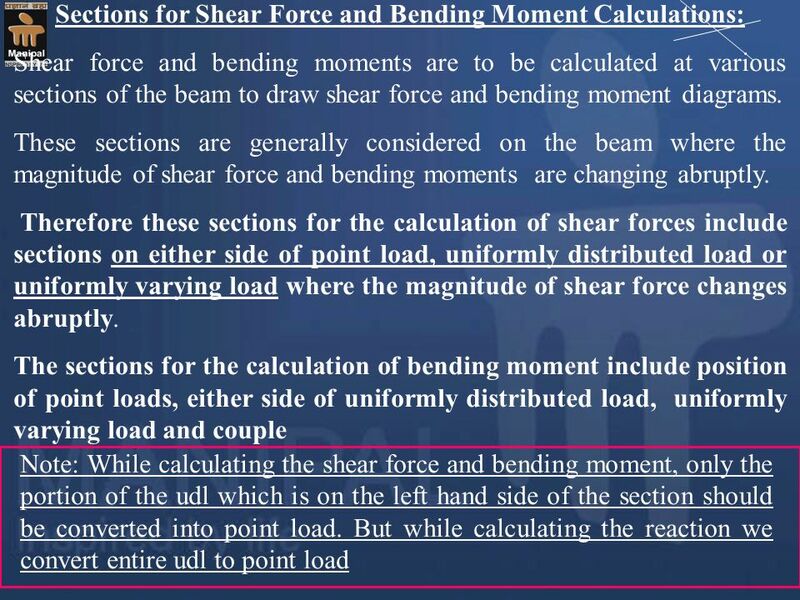 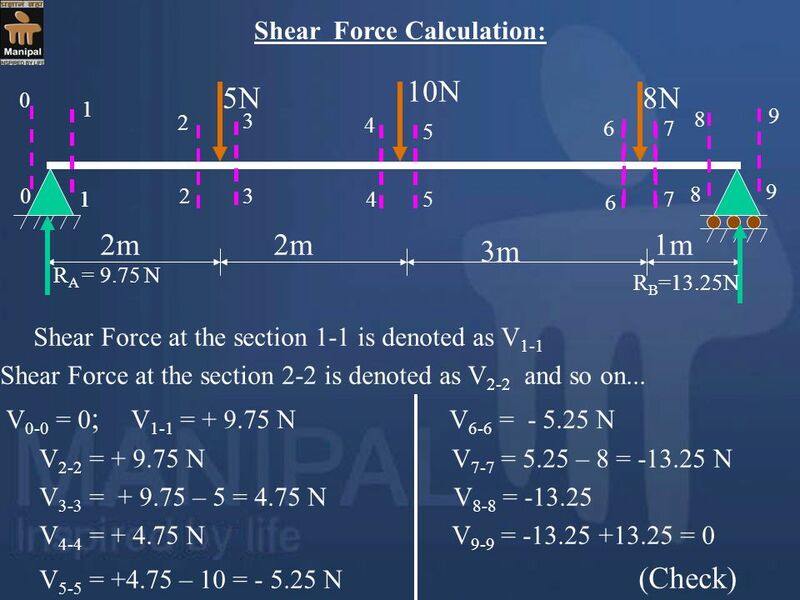 The force is trying to shear off the section and hence is called shear force. 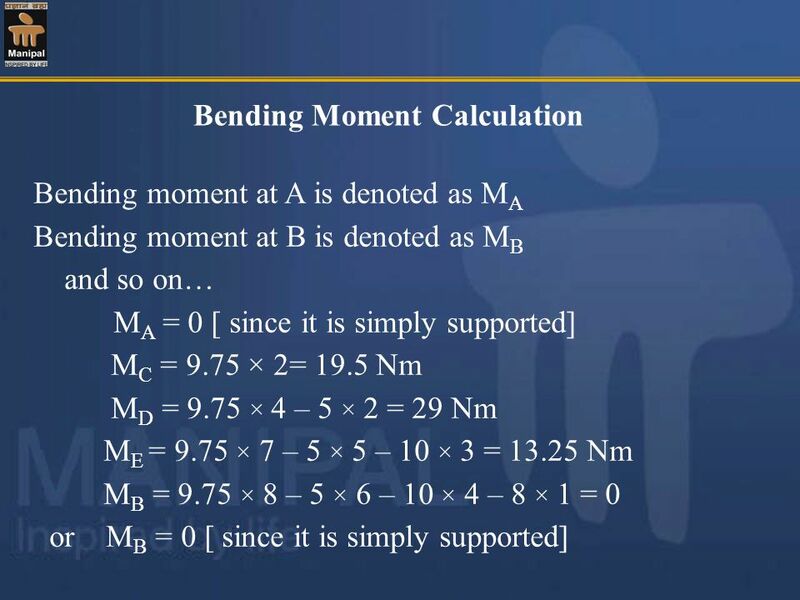 The moment bends the section and hence, called bending moment. 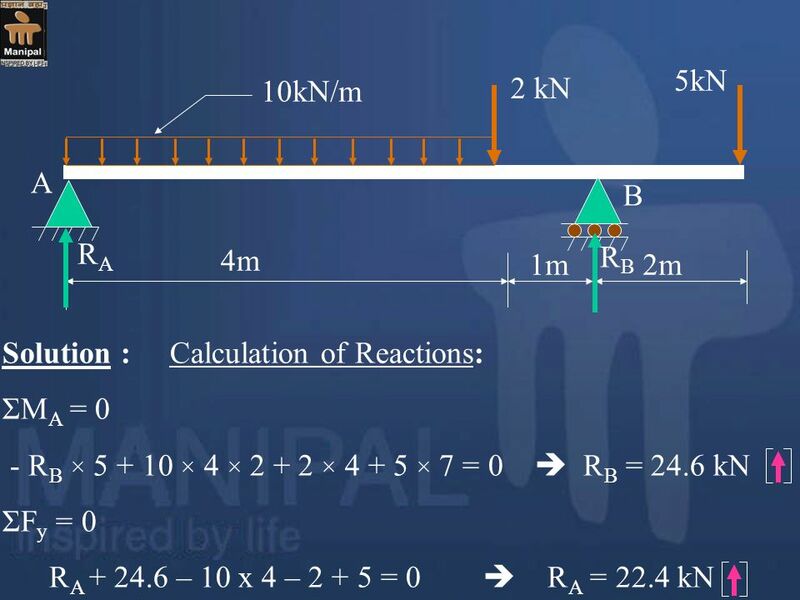 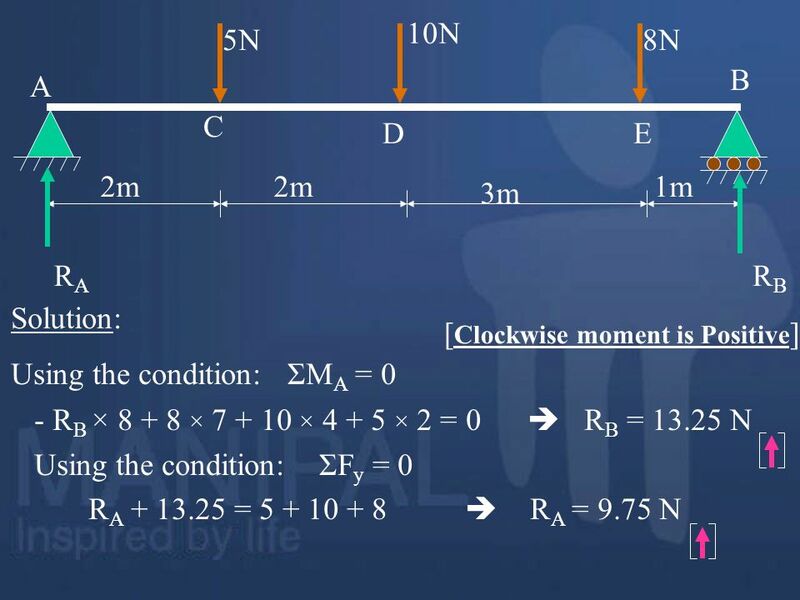 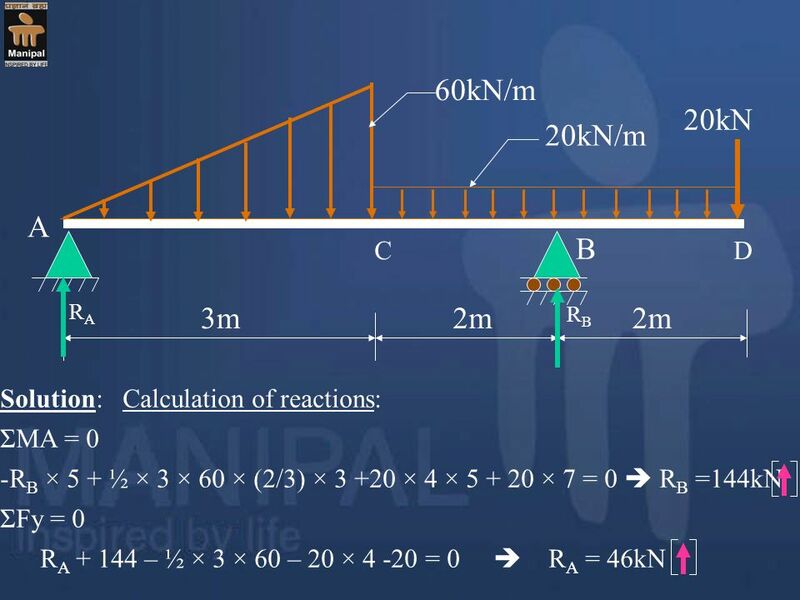 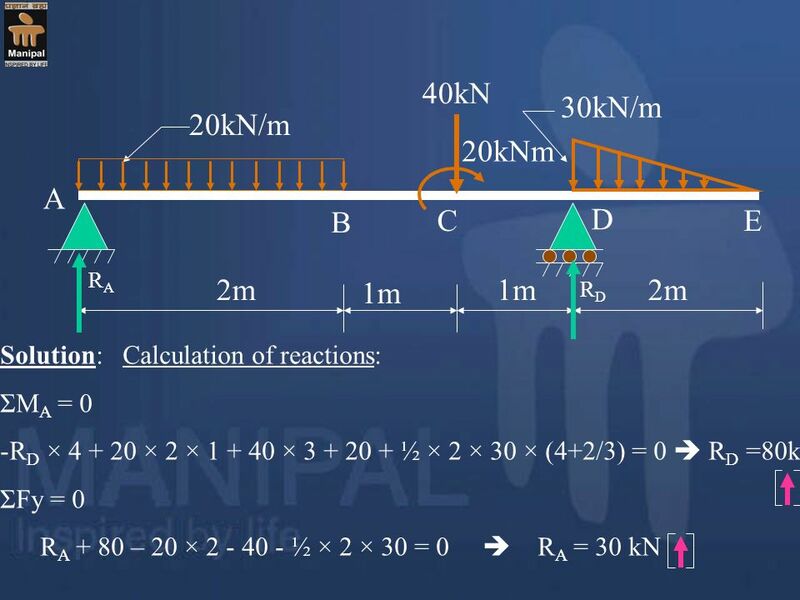 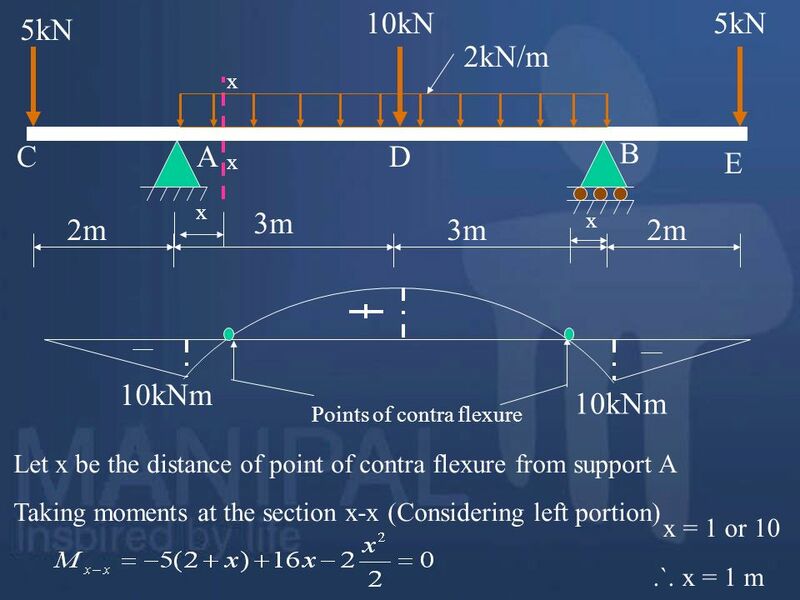 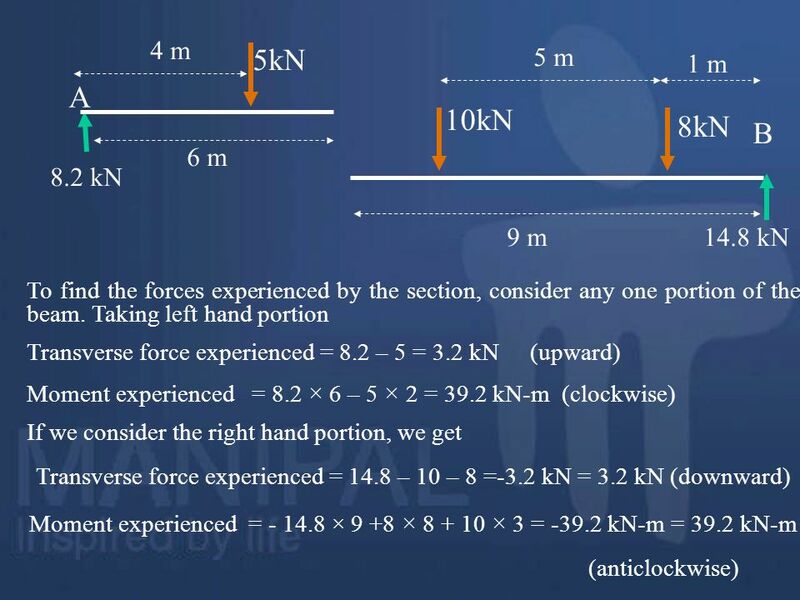 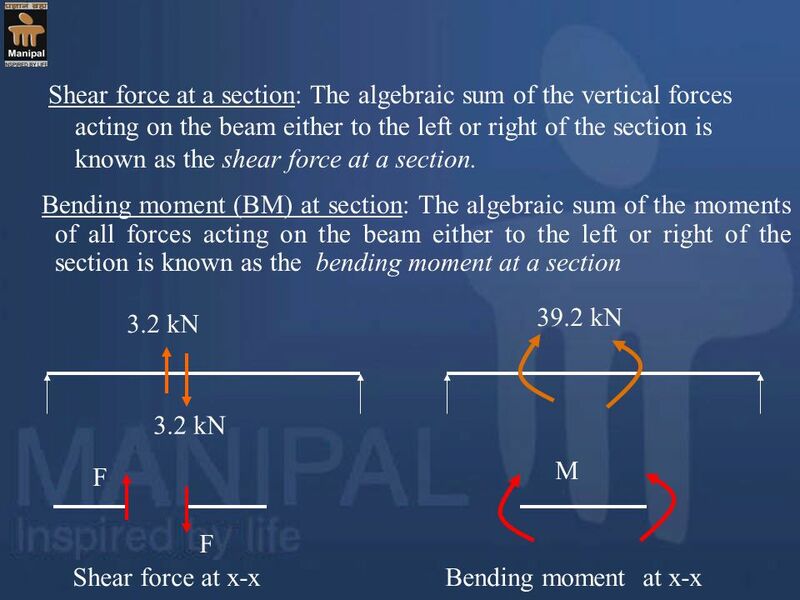 Moment: It is the product of force and perpendicular distance between line of action of the force and the point about which moment is required to be calculated. 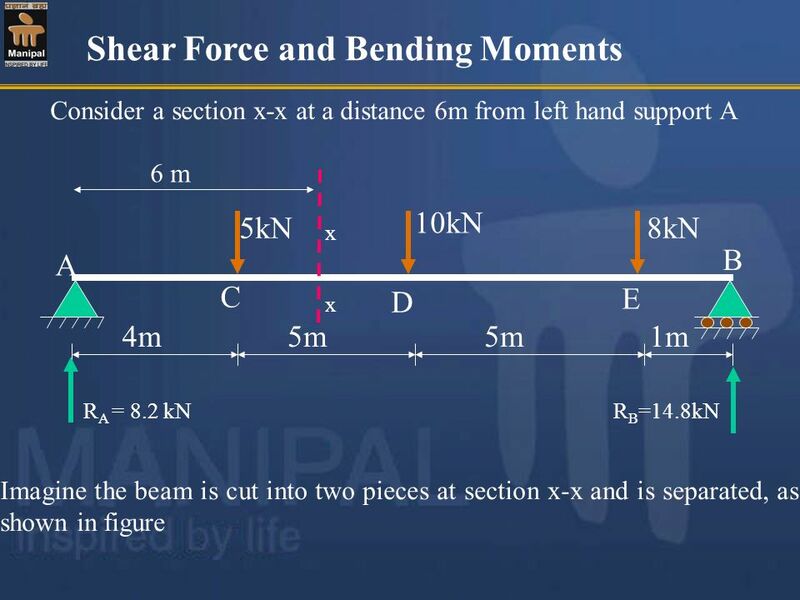 Bending Moment (BM): The moment which causes the bending effect on the beam is called Bending Moment. 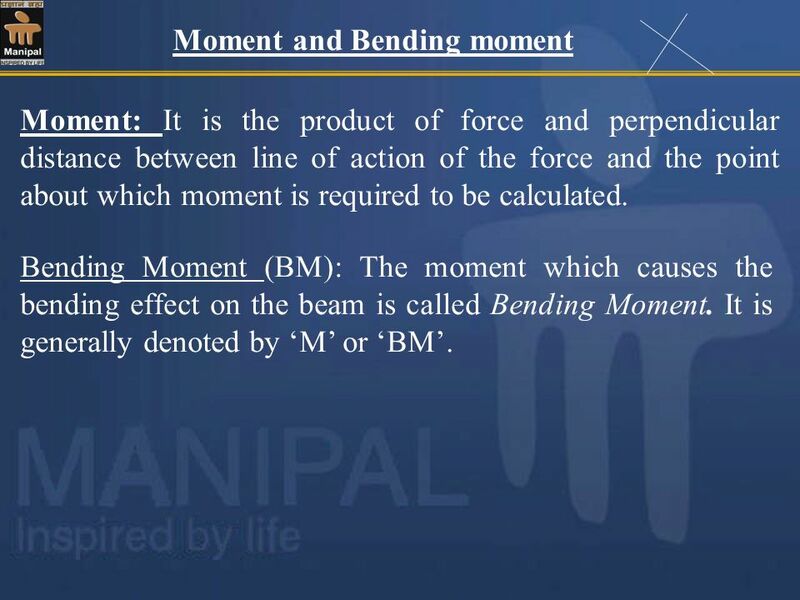 It is generally denoted by ‘M’ or ‘BM’. 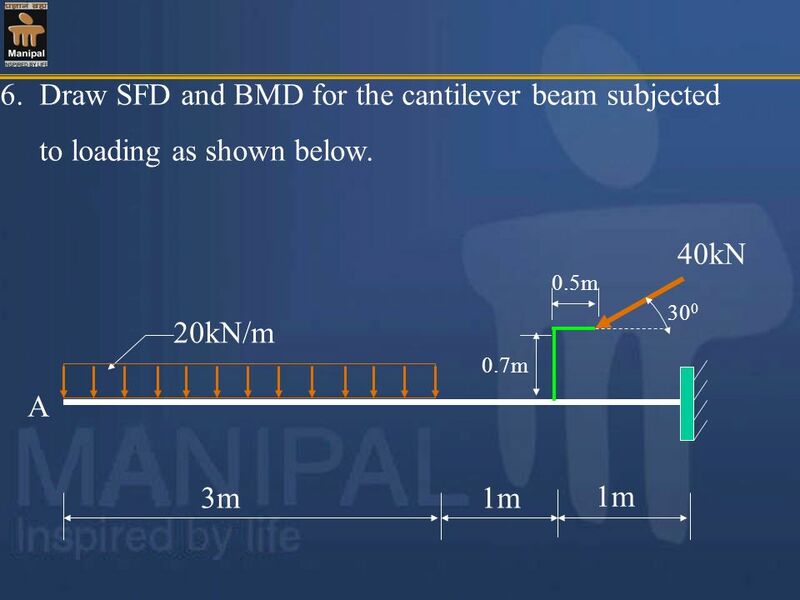 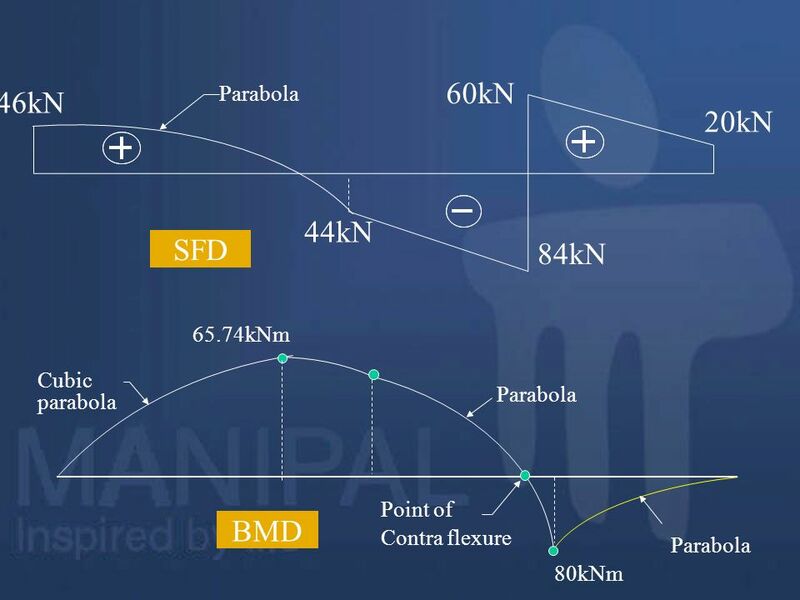 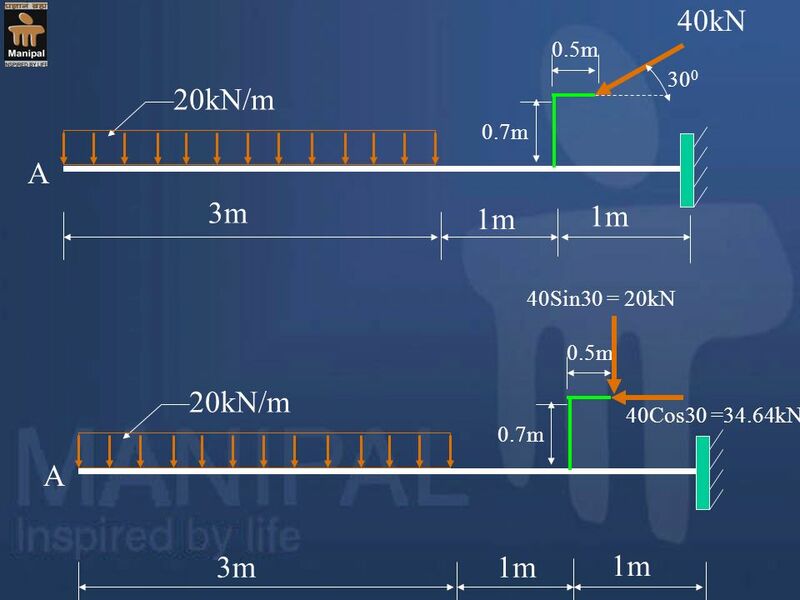 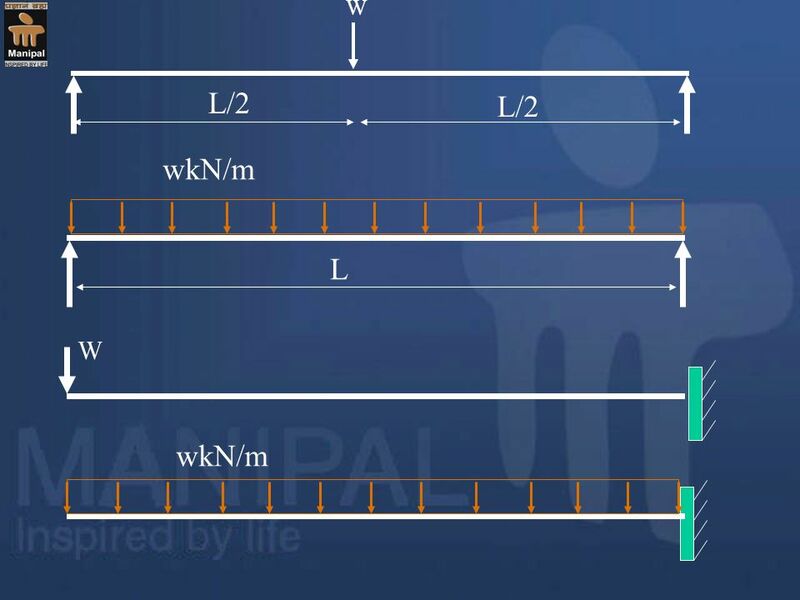 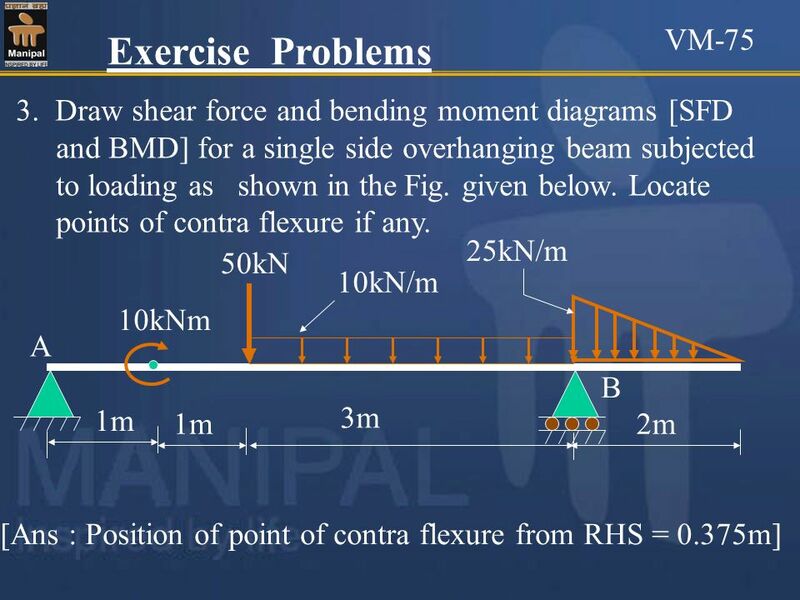 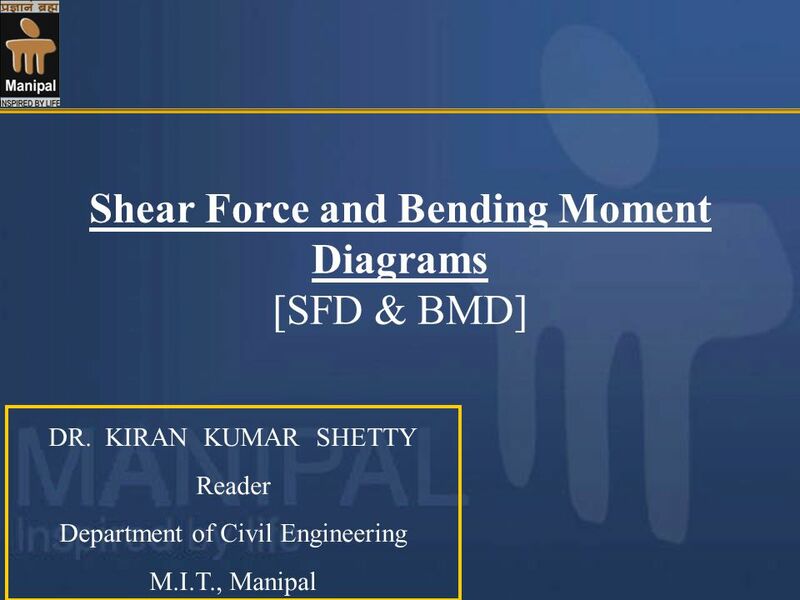 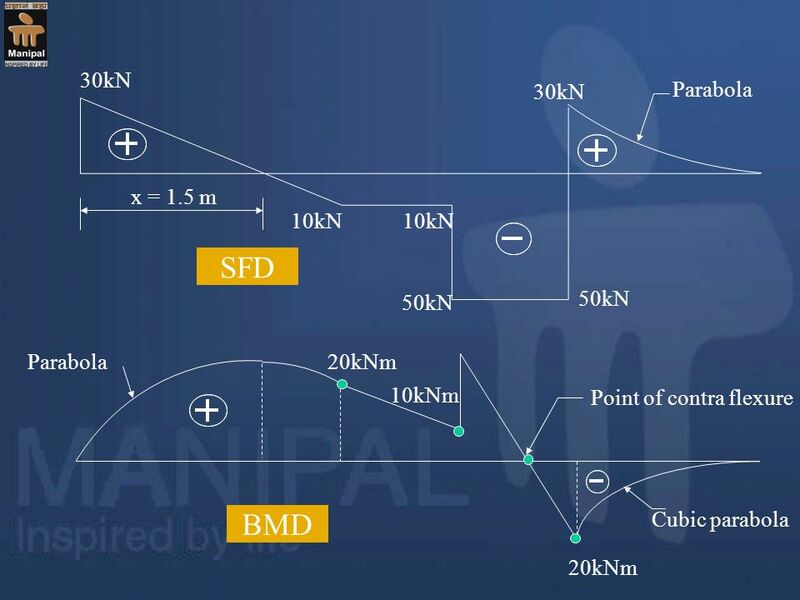 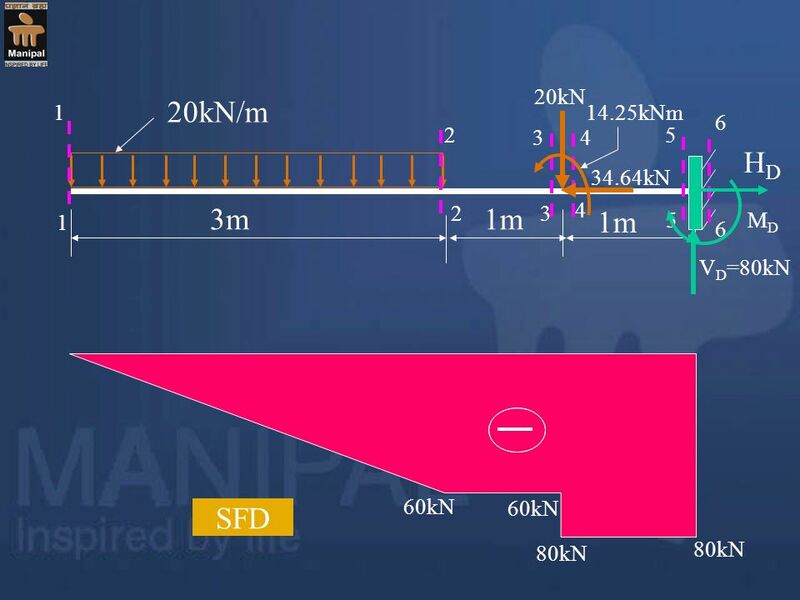 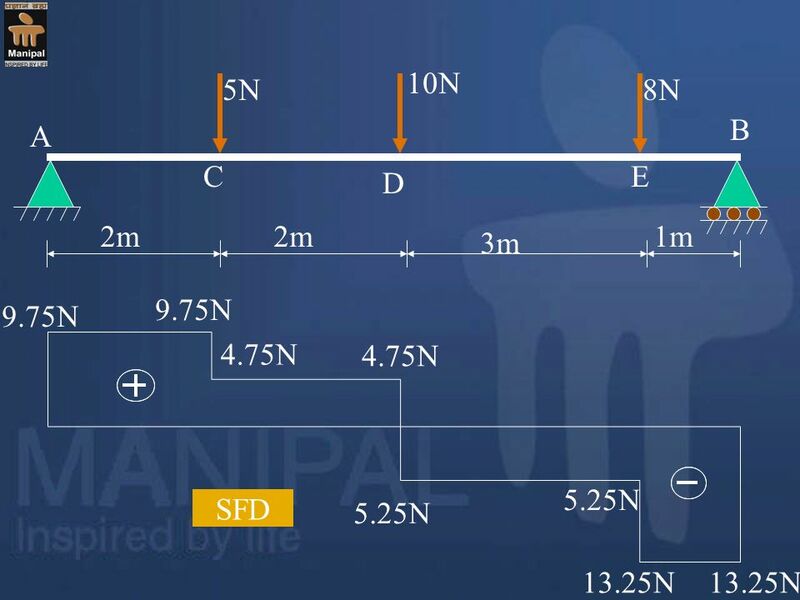 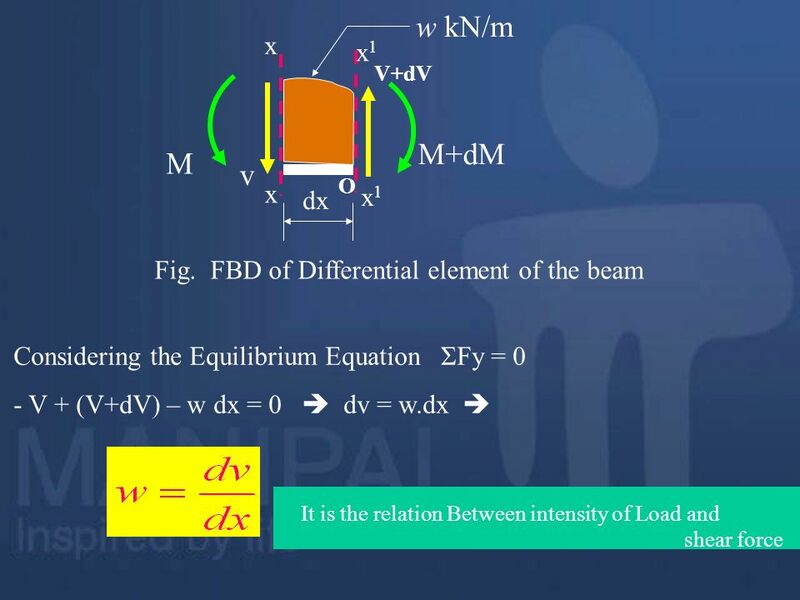 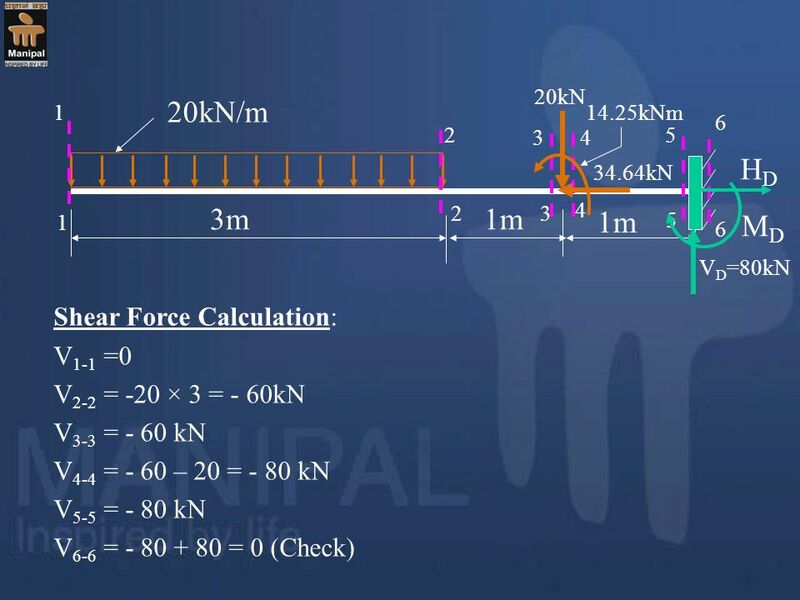 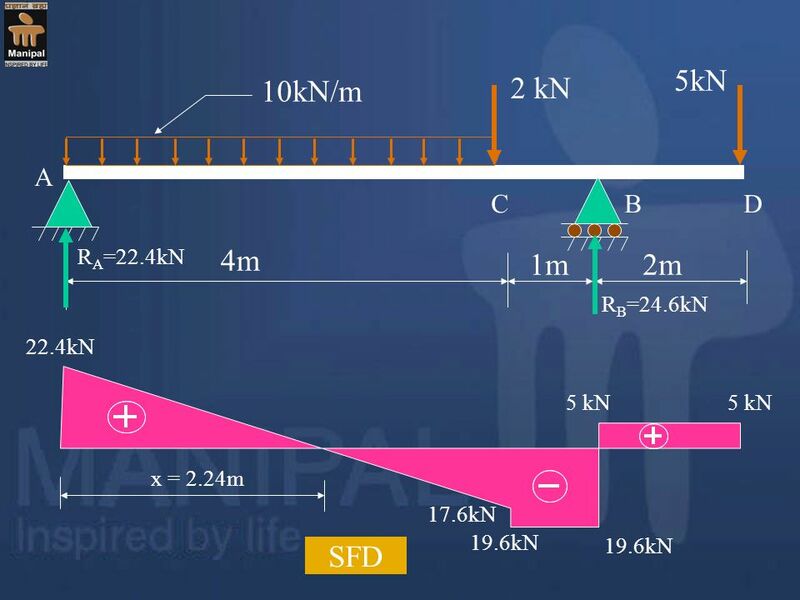 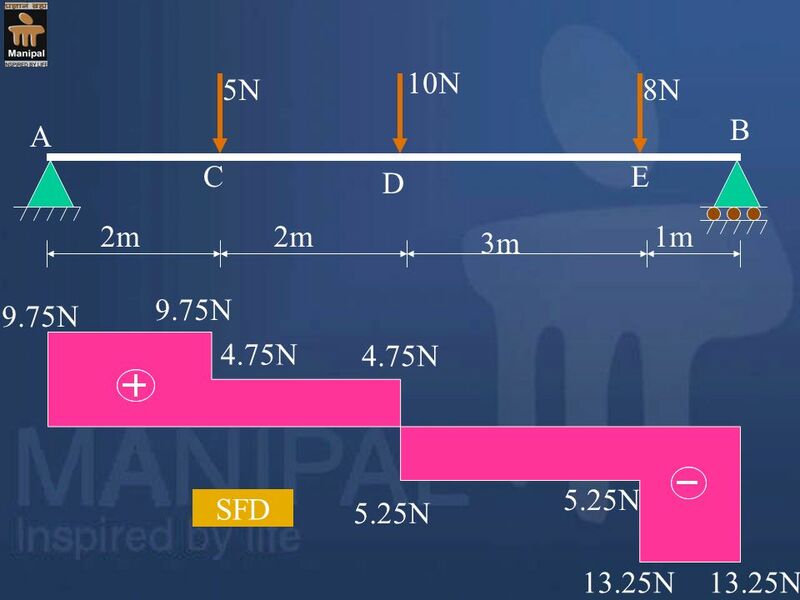 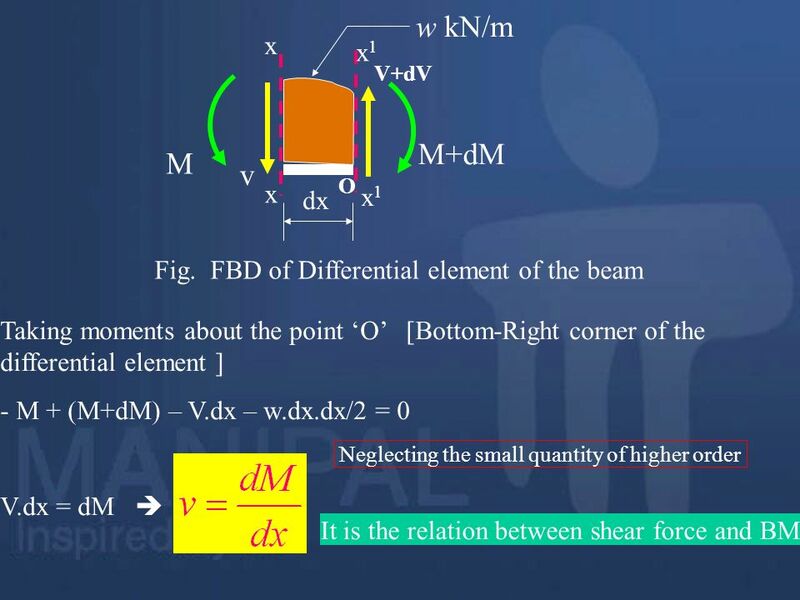 Shear Force Diagram (SFD): The diagram which shows the variation of shear force along the length of the beam is called Shear Force Diagram (SFD). 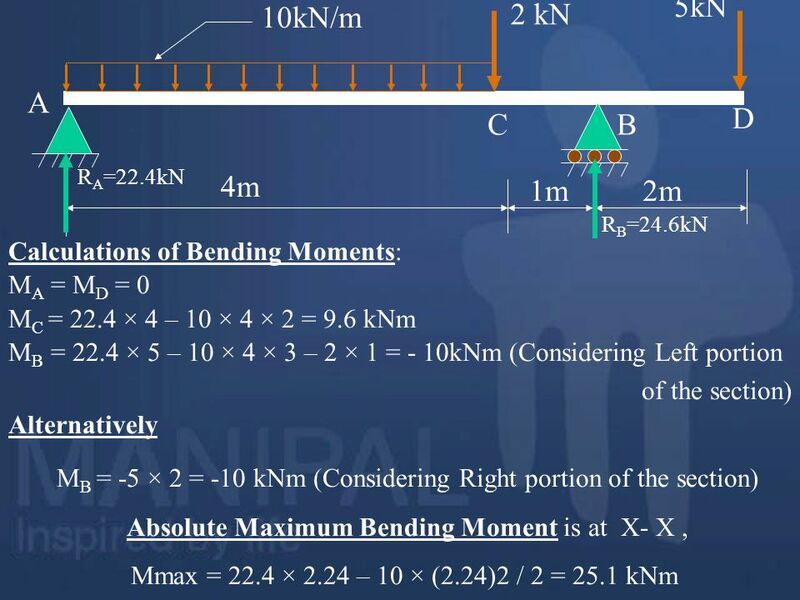 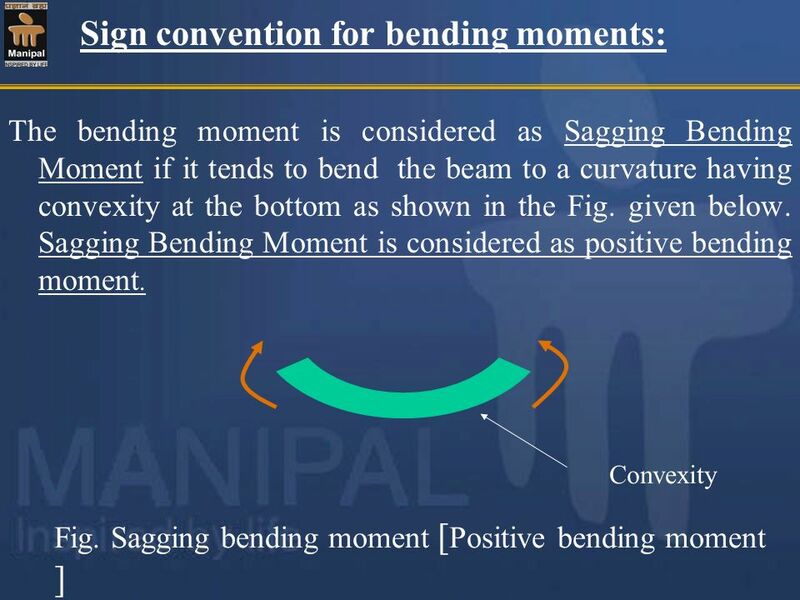 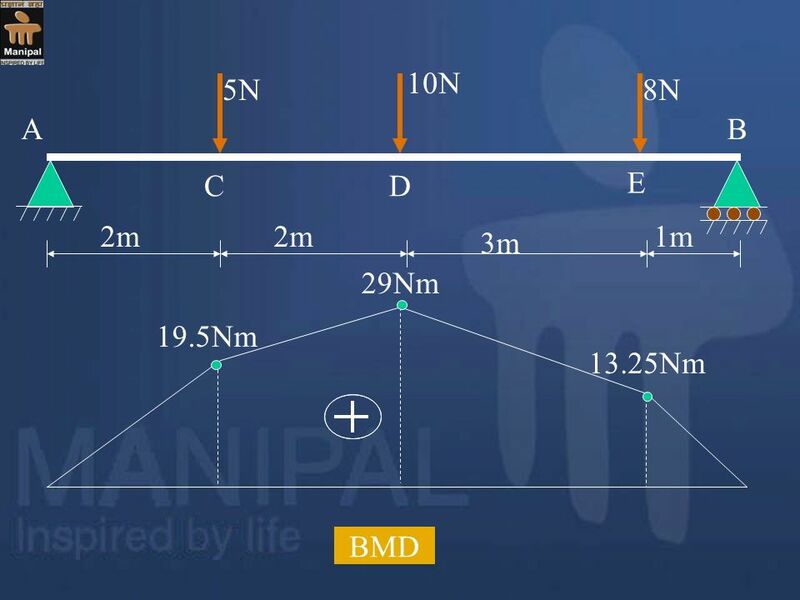 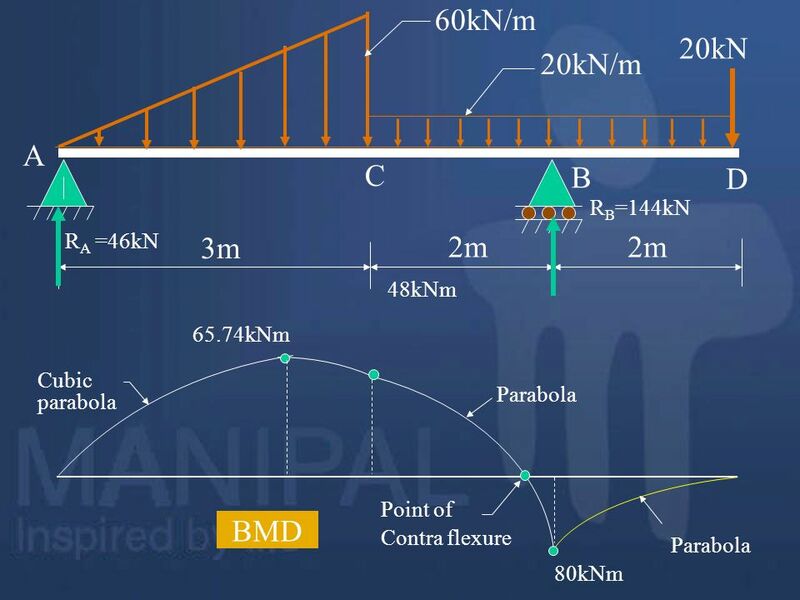 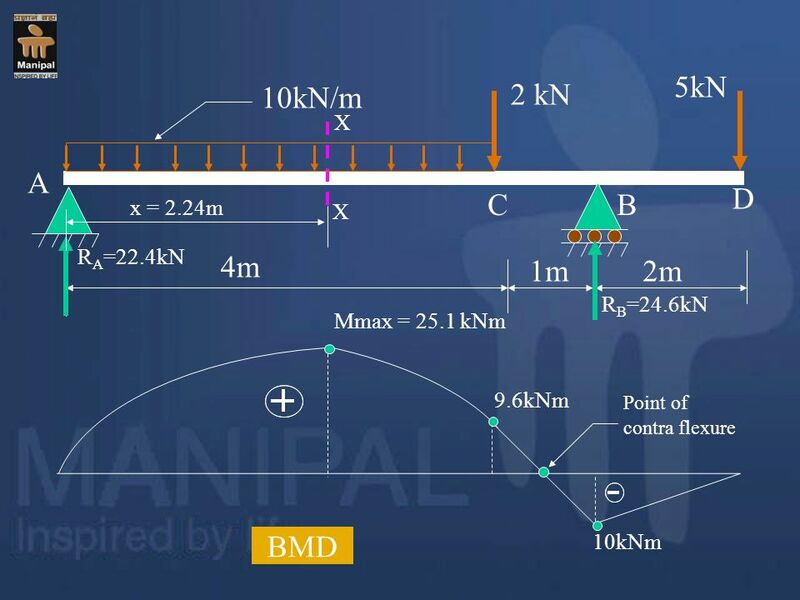 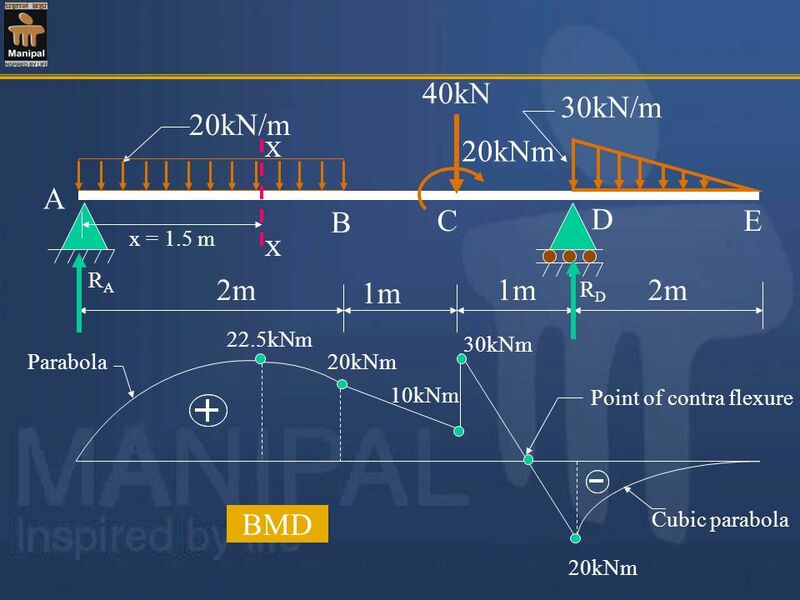 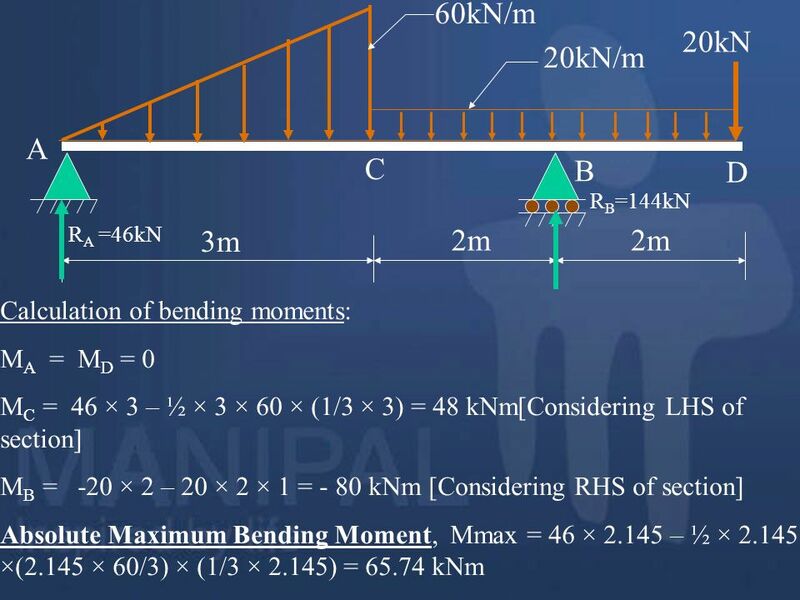 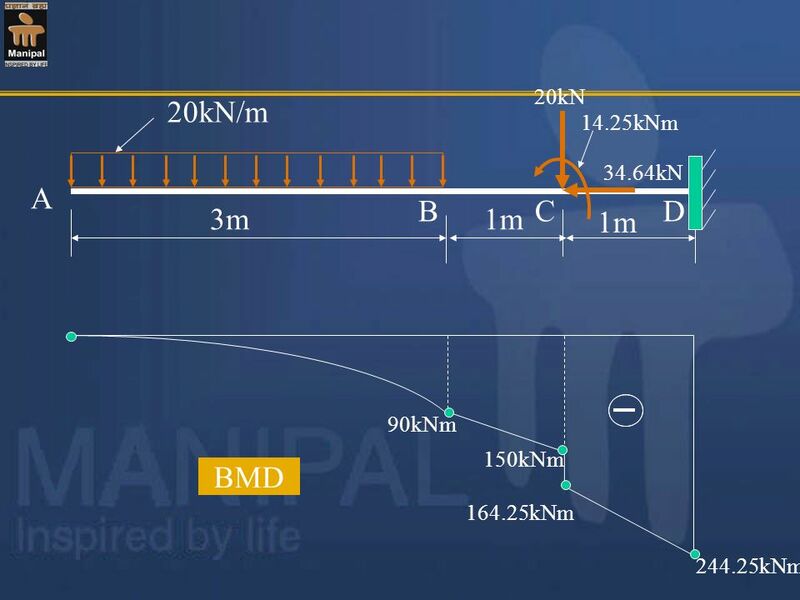 Bending Moment Diagram (BMD): The diagram which shows the variation of bending moment along the length of the beam is called Bending Moment Diagram (BMD). 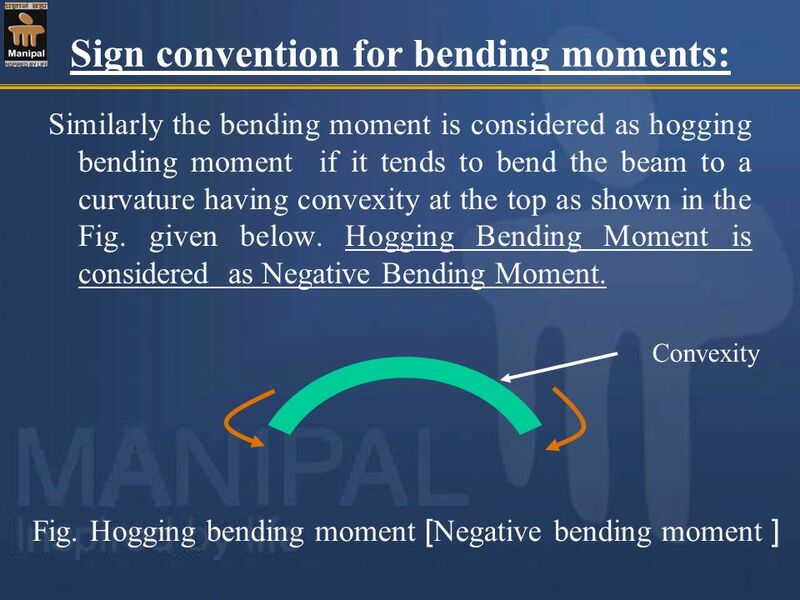 It is the point on the bending moment diagram where bending moment changes the sign from positive to negative or vice versa. 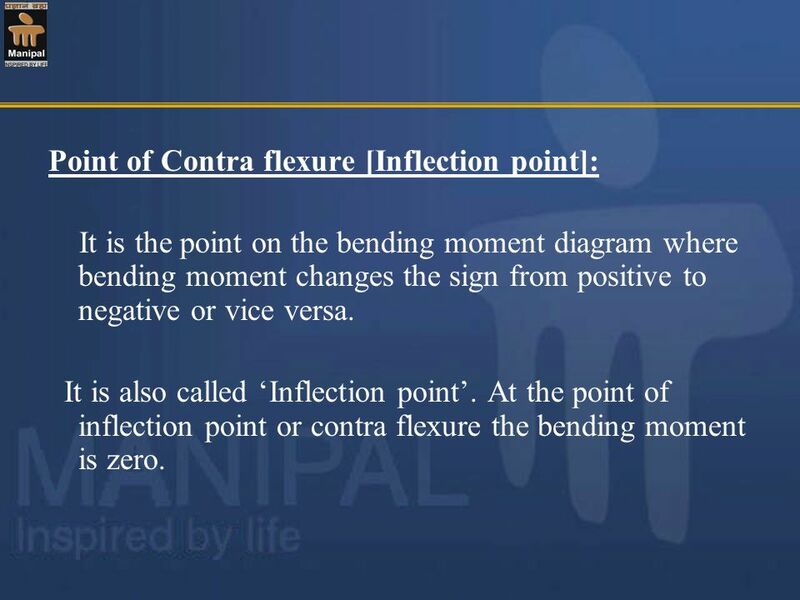 It is also called ‘Inflection point’. 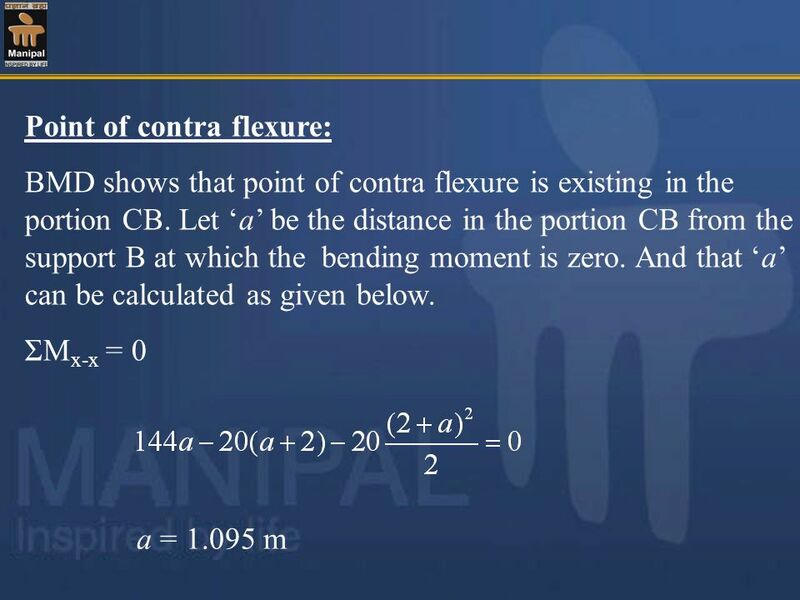 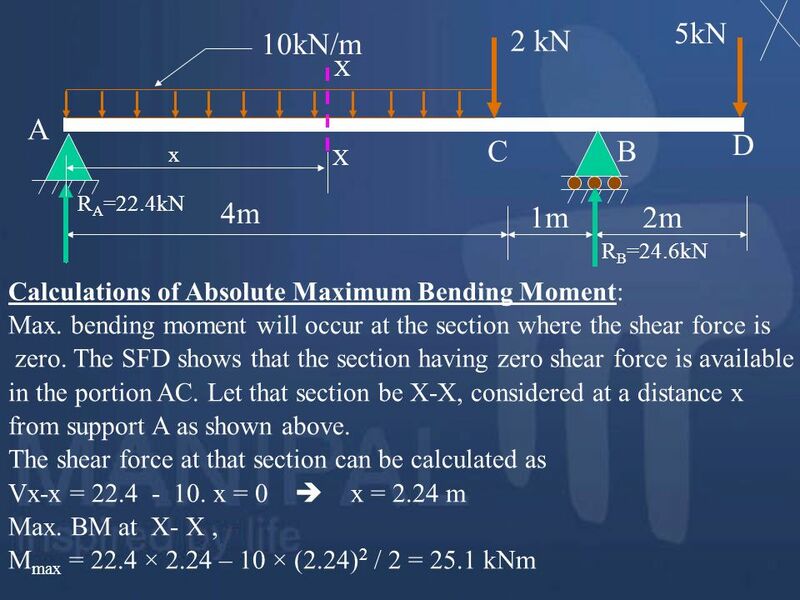 At the point of inflection point or contra flexure the bending moment is zero. 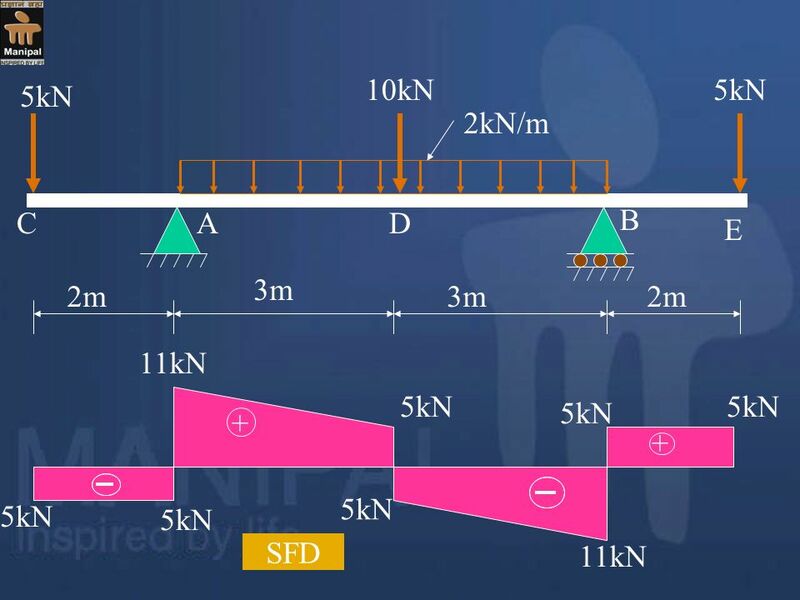 w kN/m x x1 dx Fig. 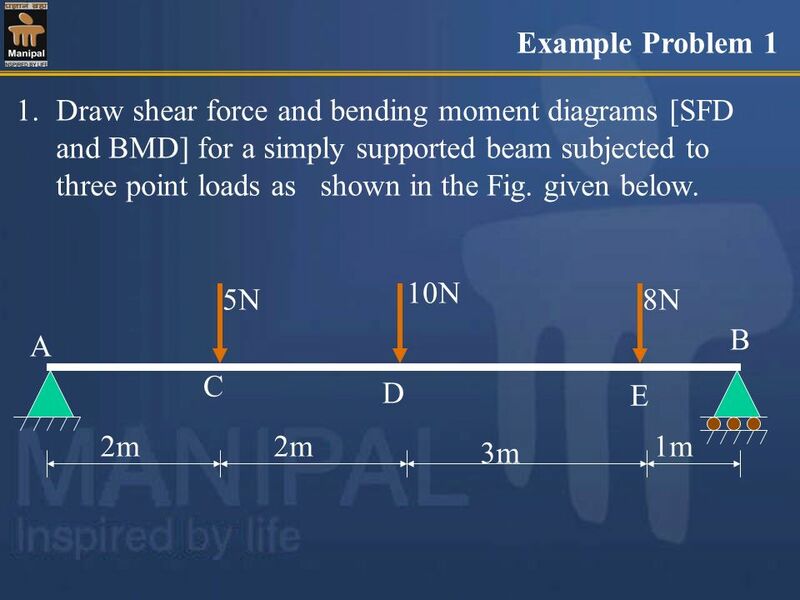 A simply supported beam subjected to general type loading The above Fig. 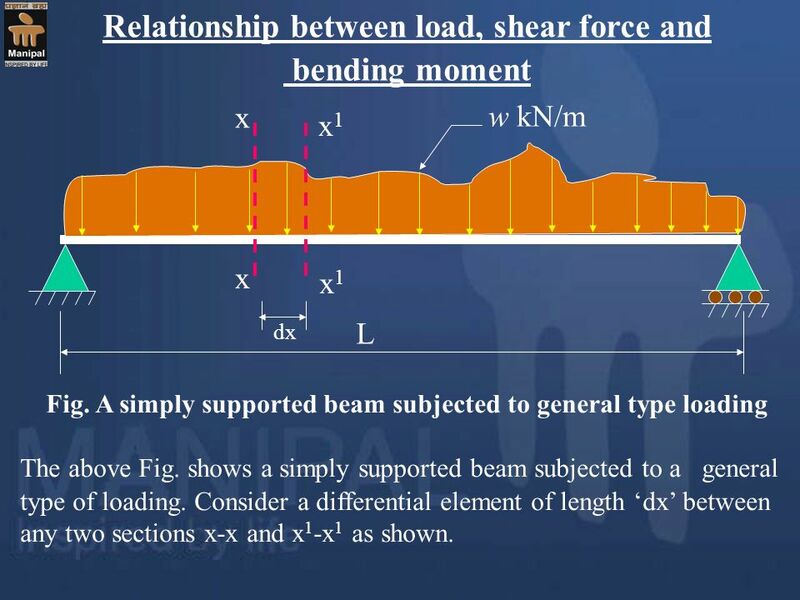 shows a simply supported beam subjected to a general type of loading. 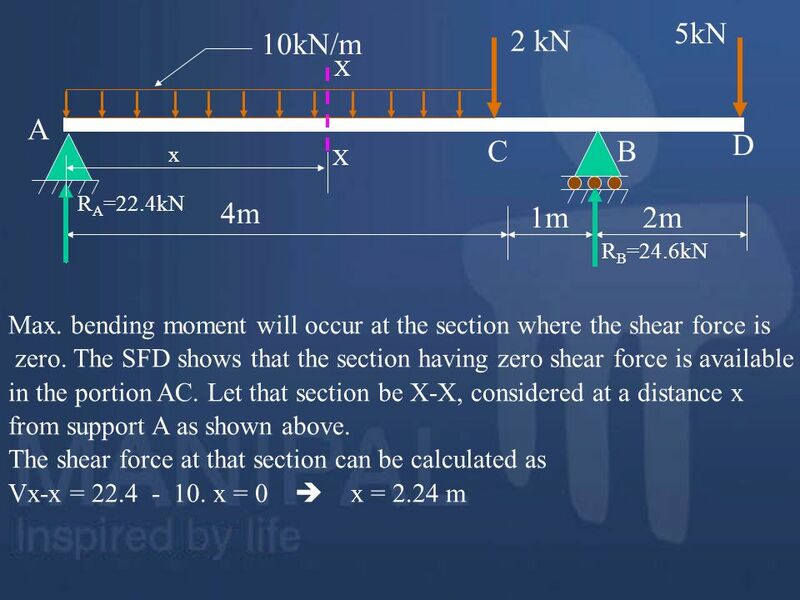 Consider a differential element of length ‘dx’ between any two sections x-x and x1-x1 as shown. 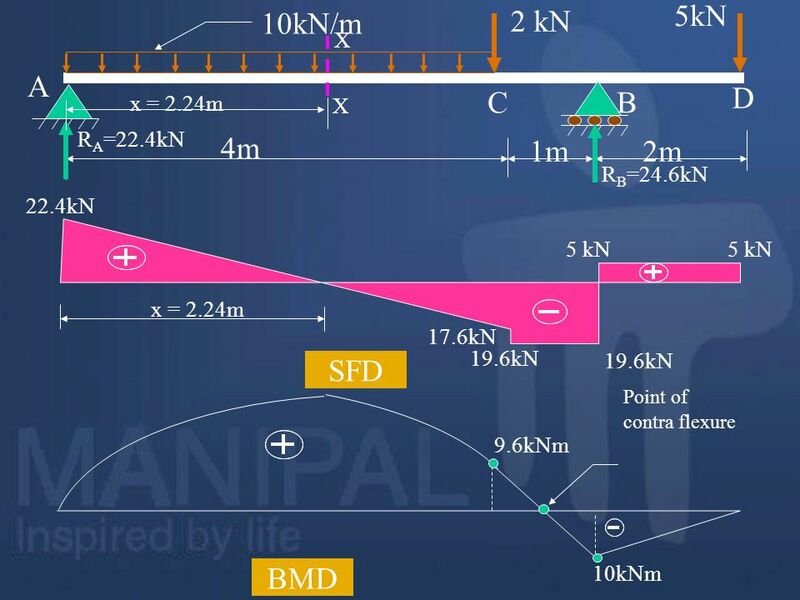 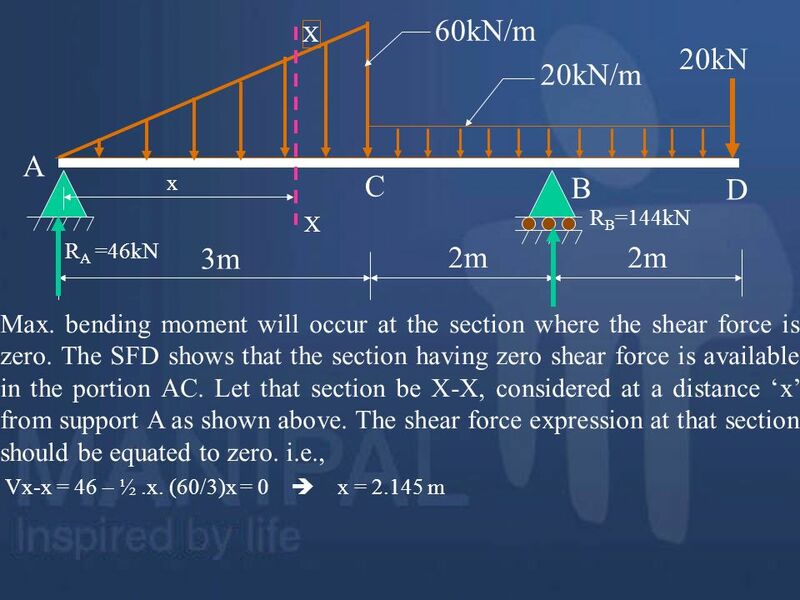 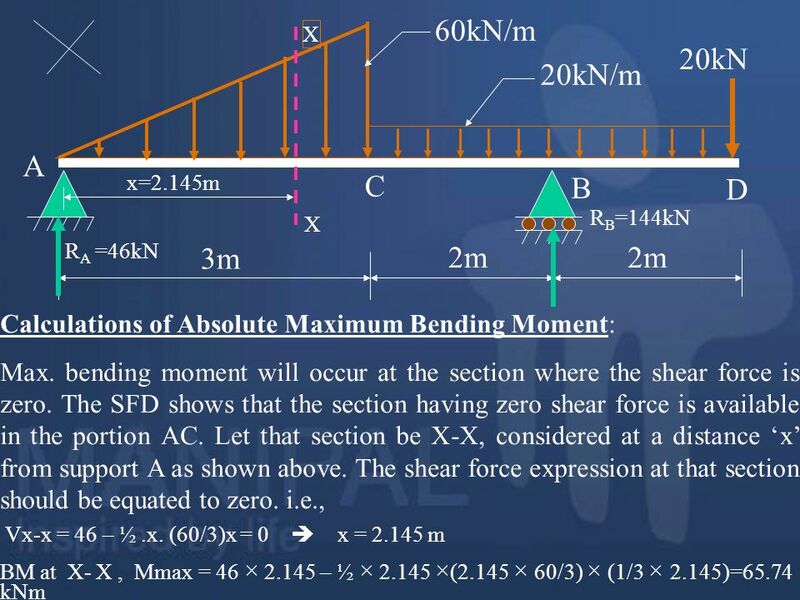 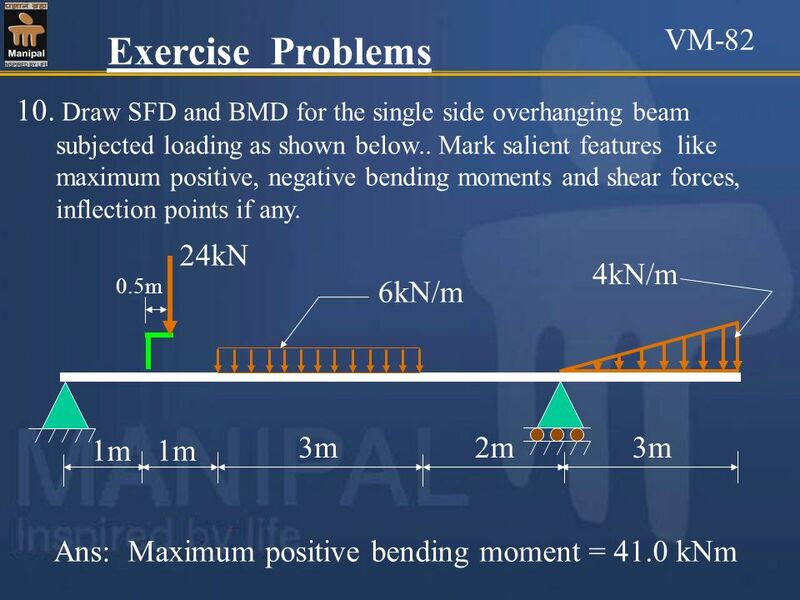 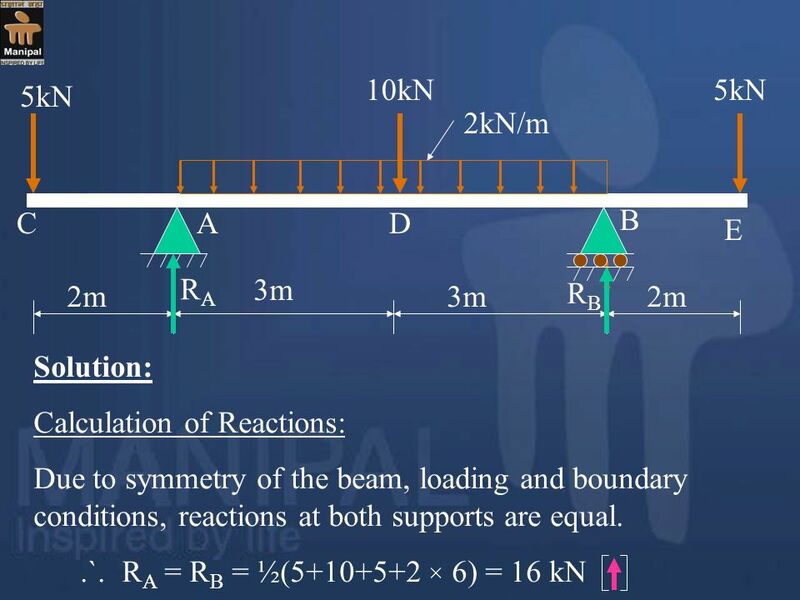 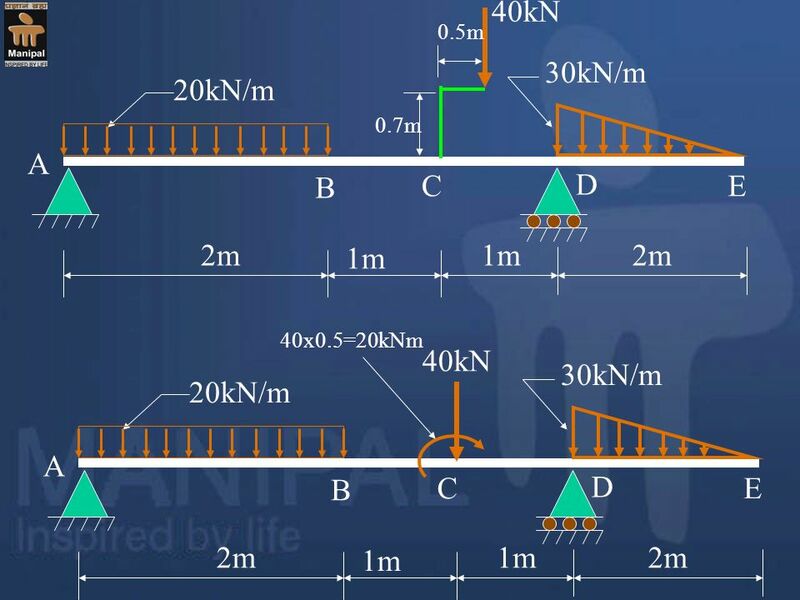 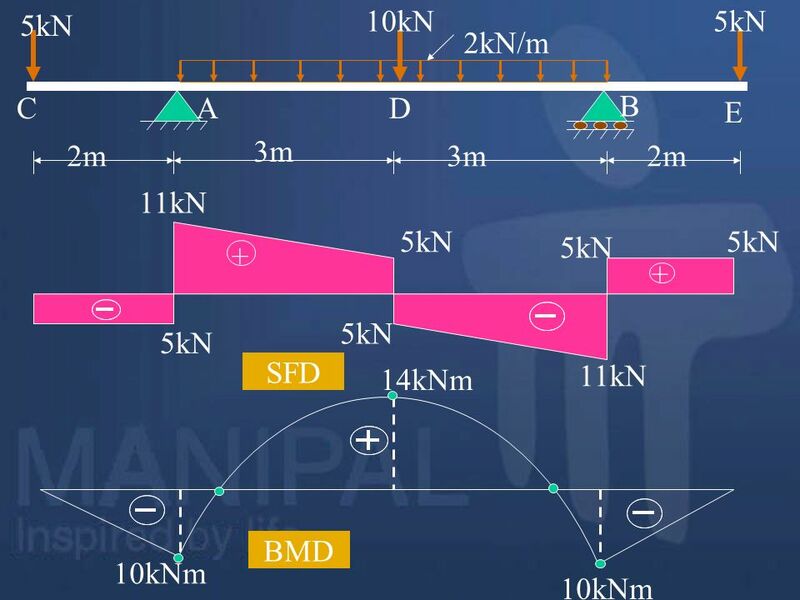 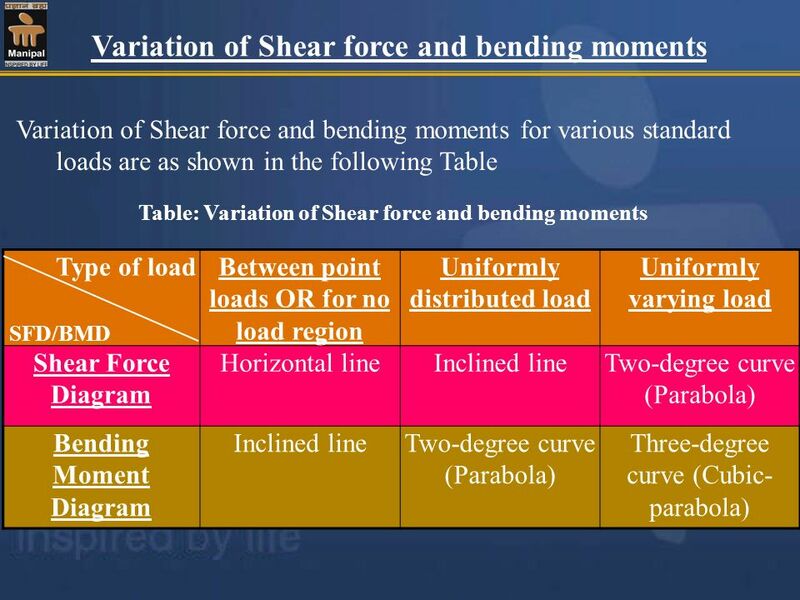 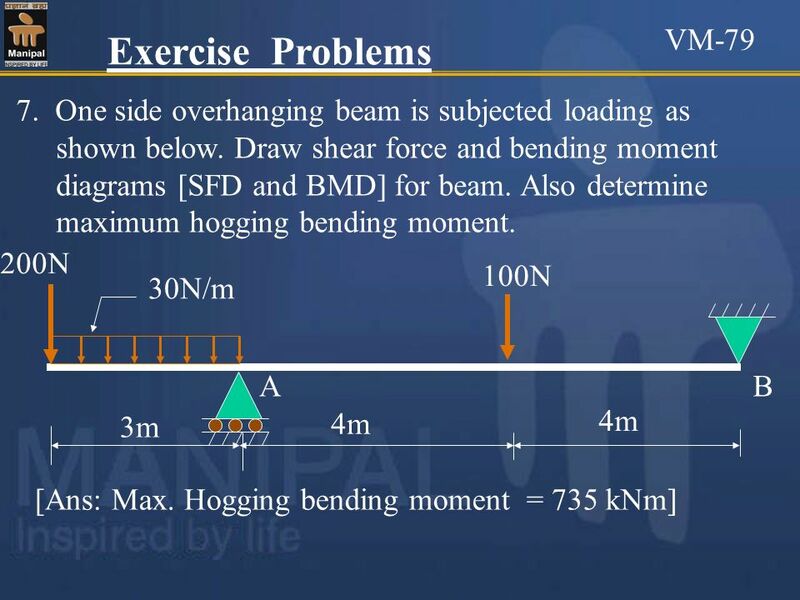 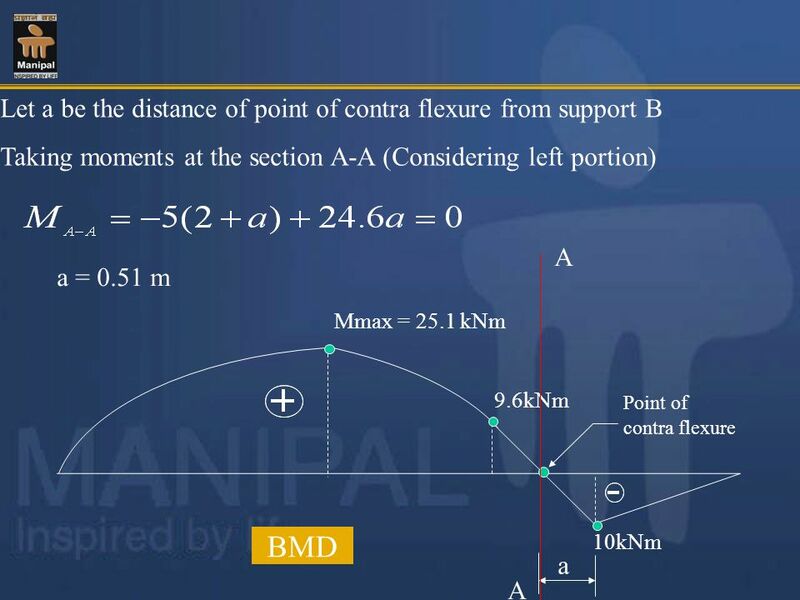 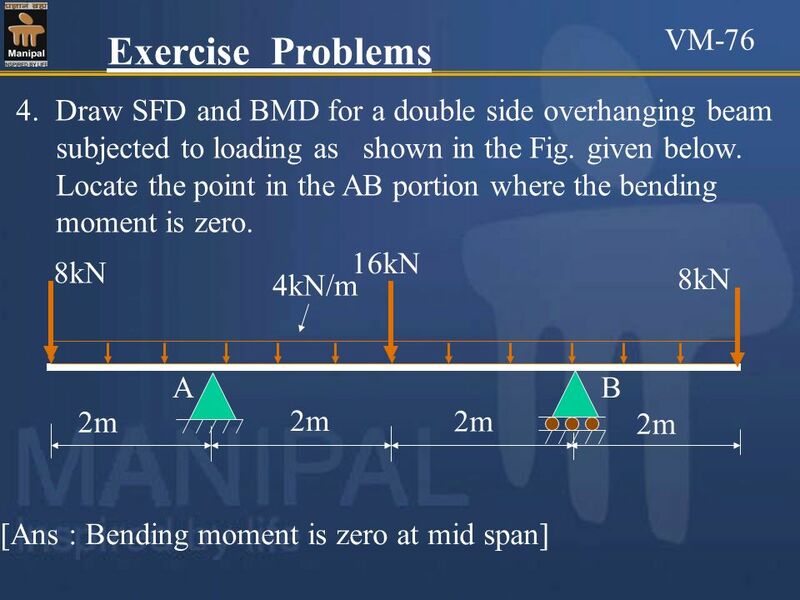 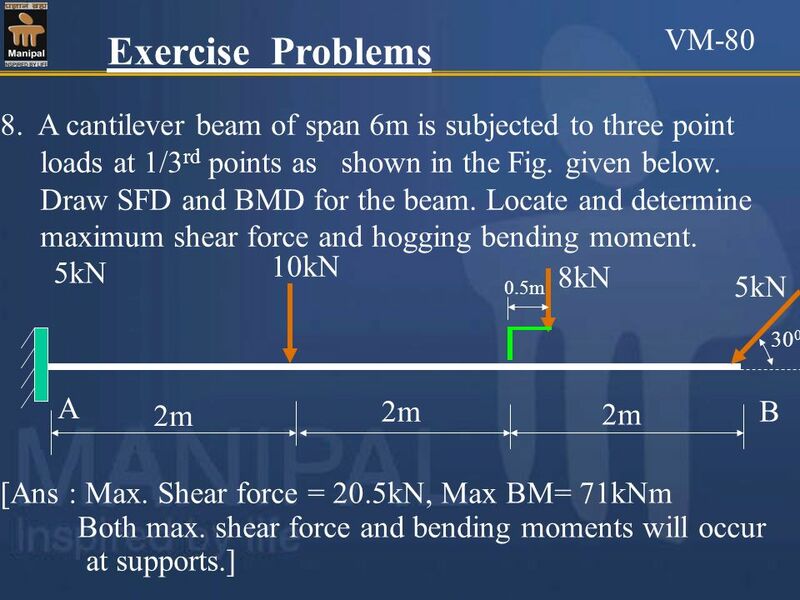 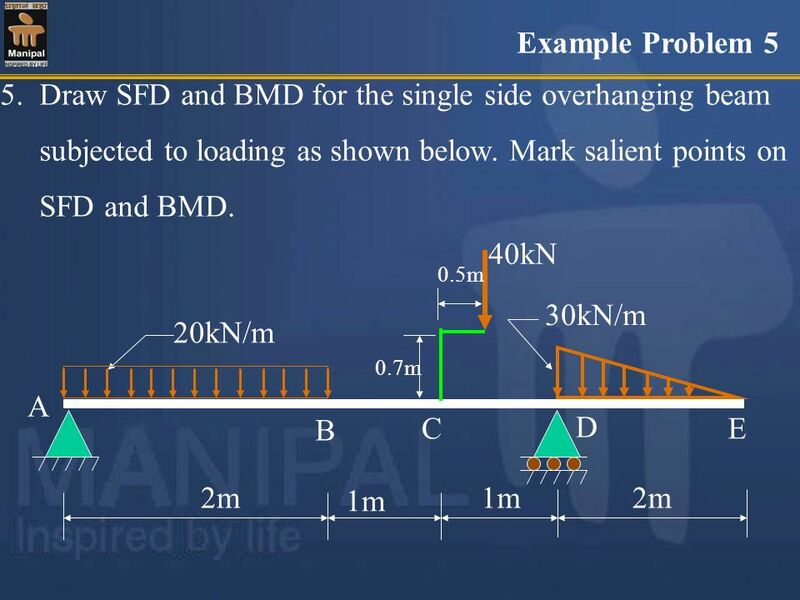 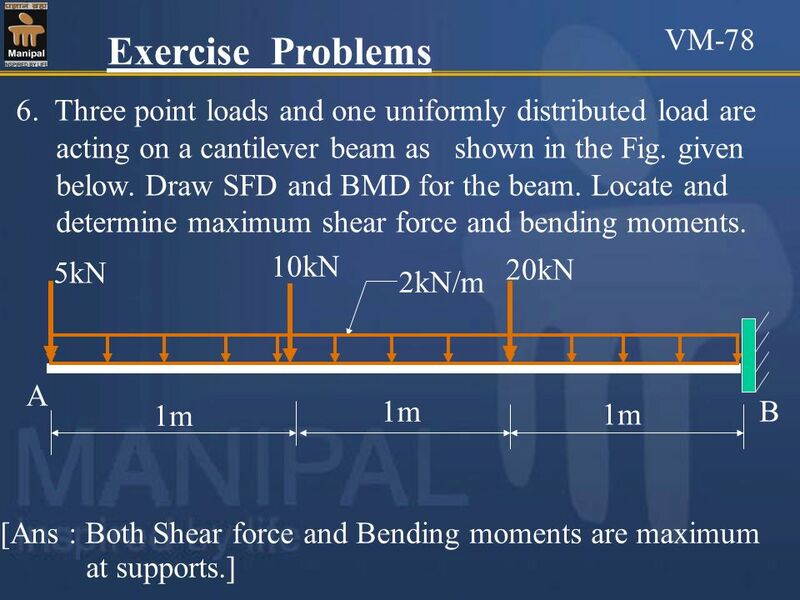 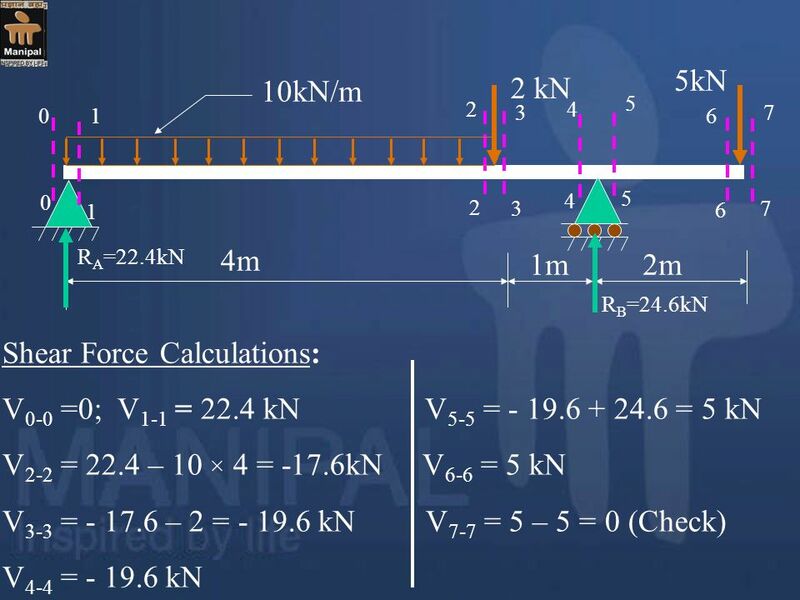 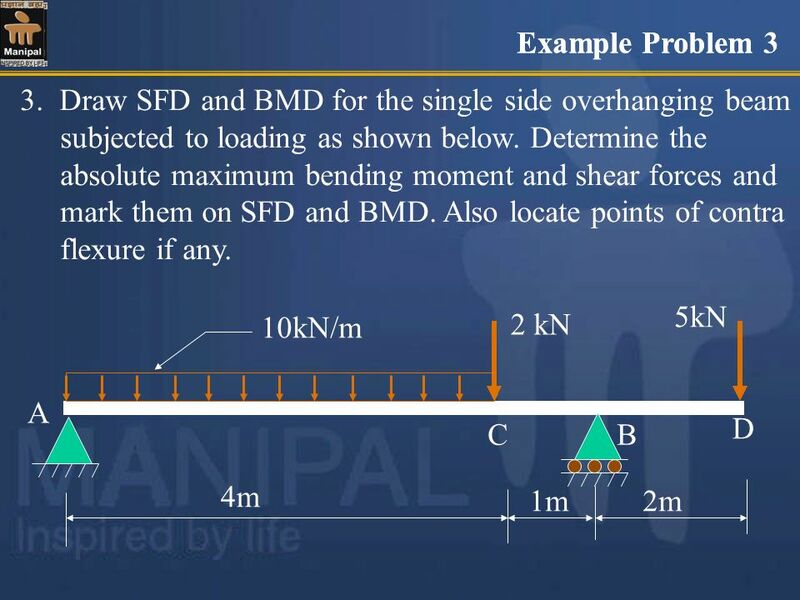 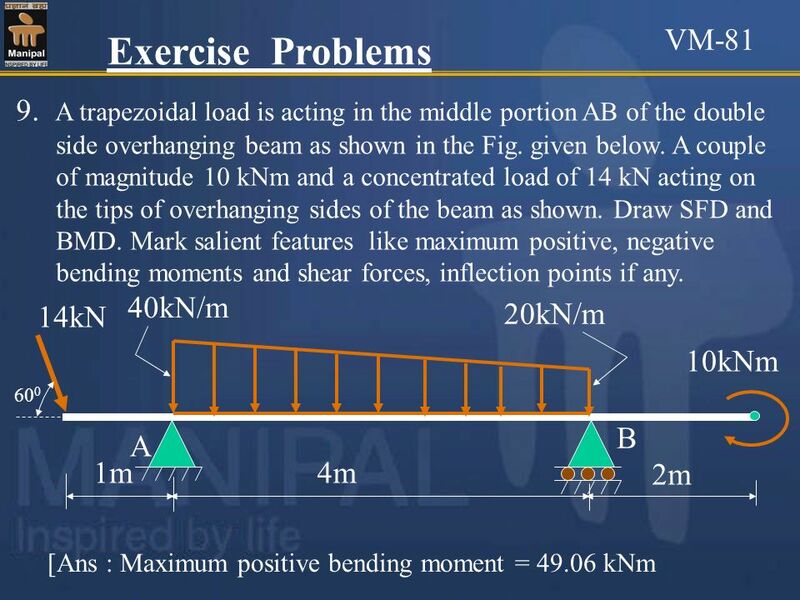 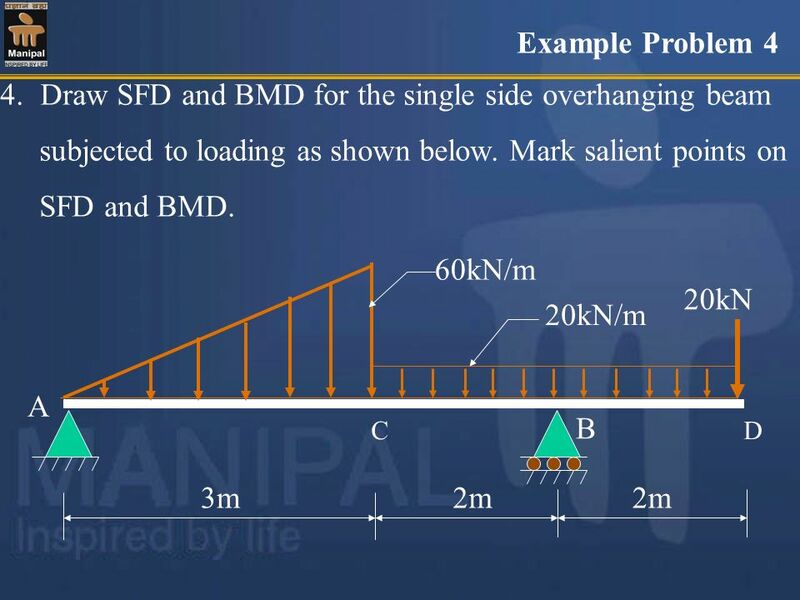 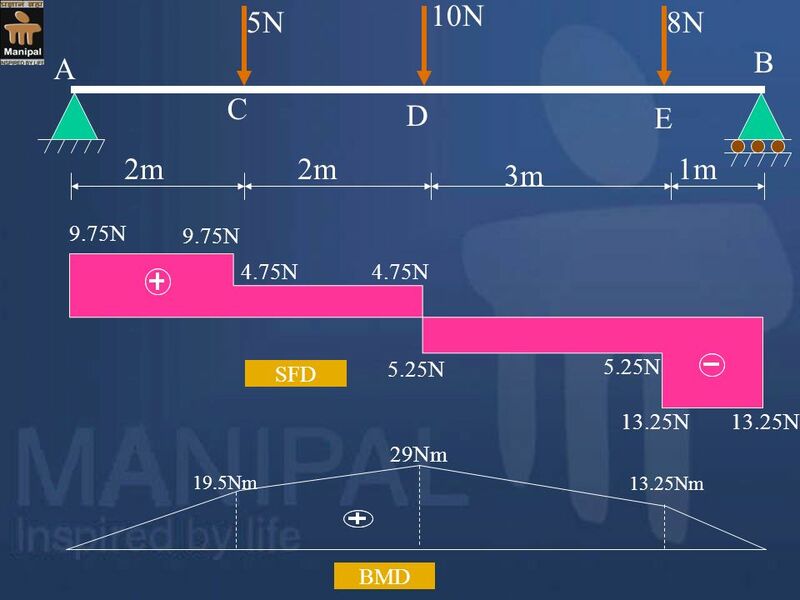 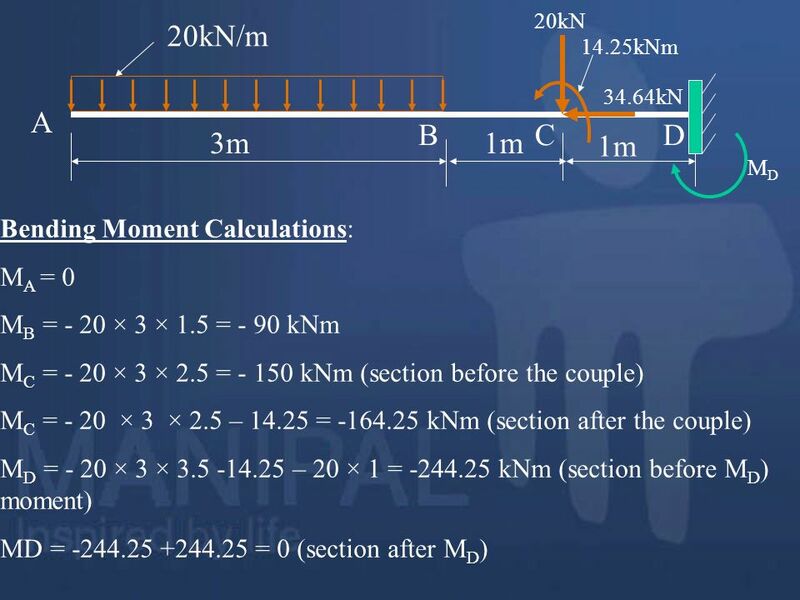 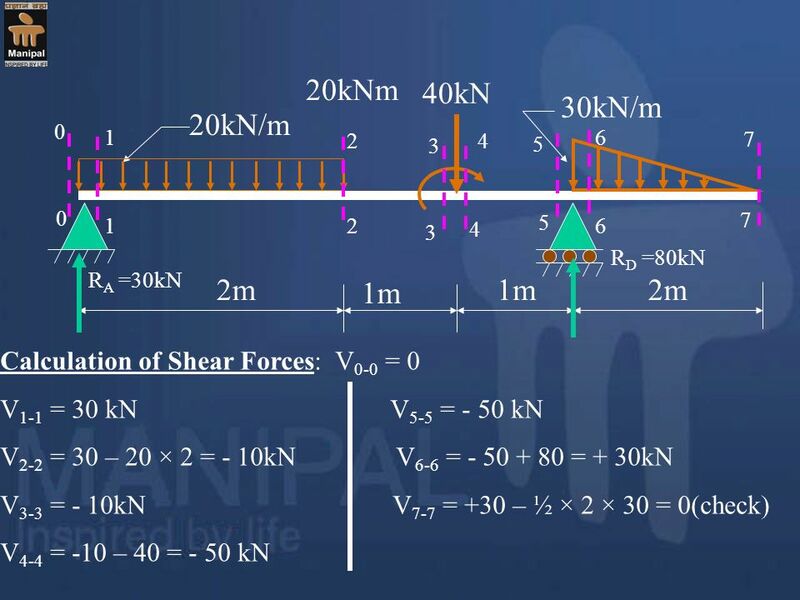 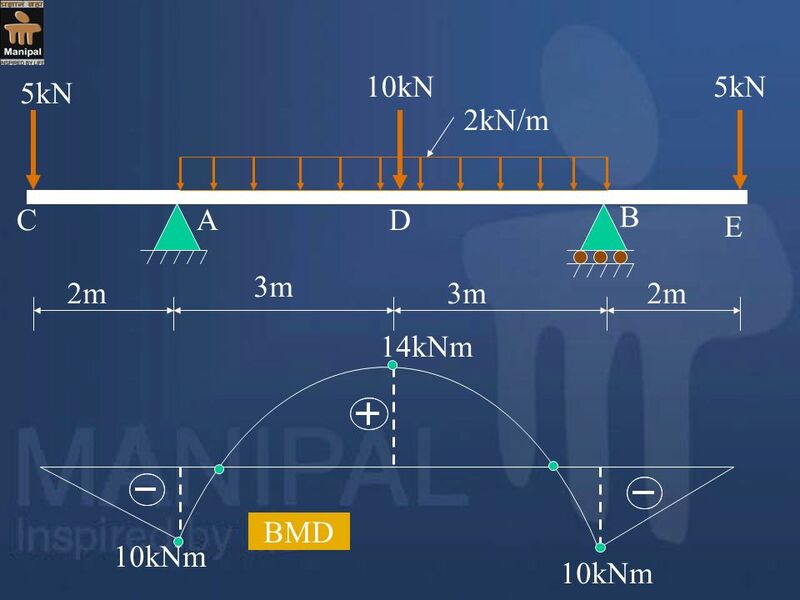 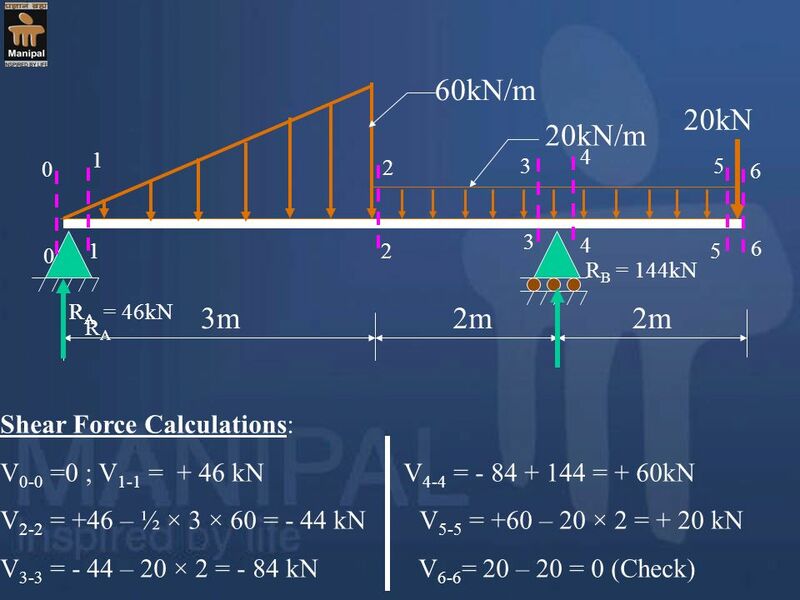 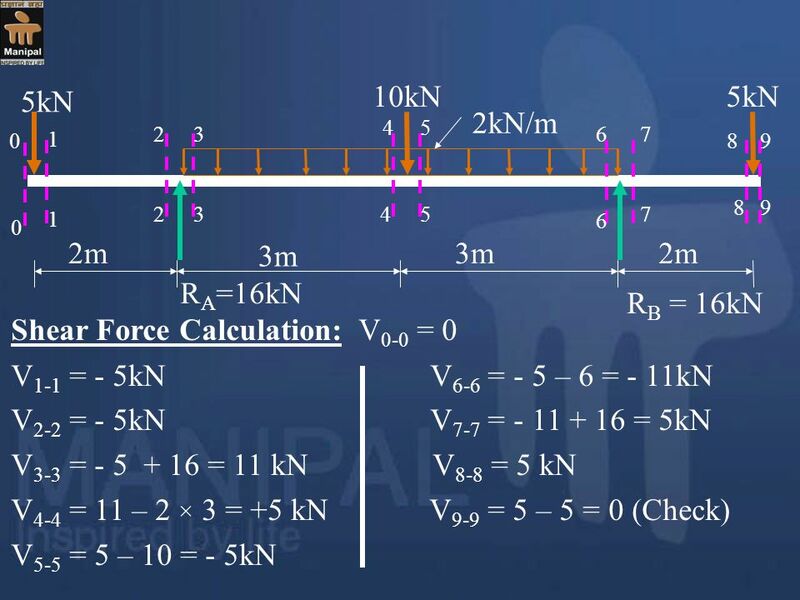 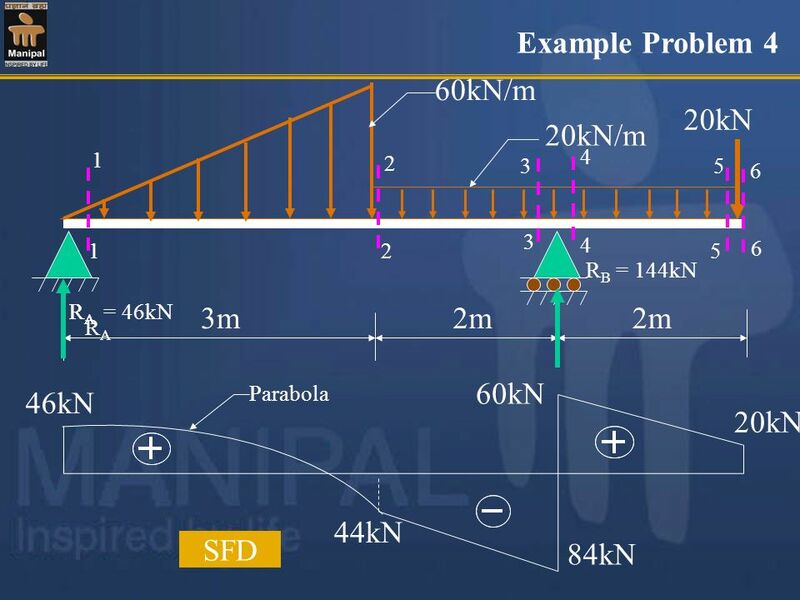 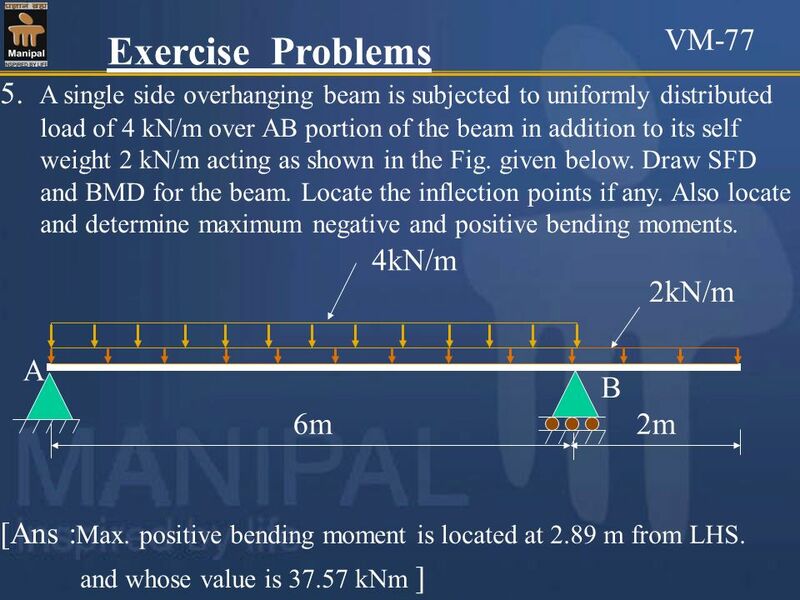 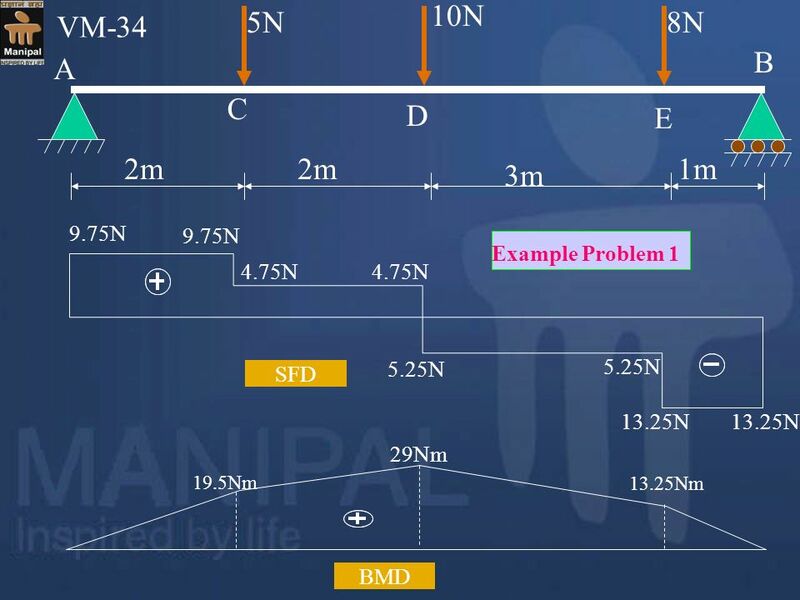 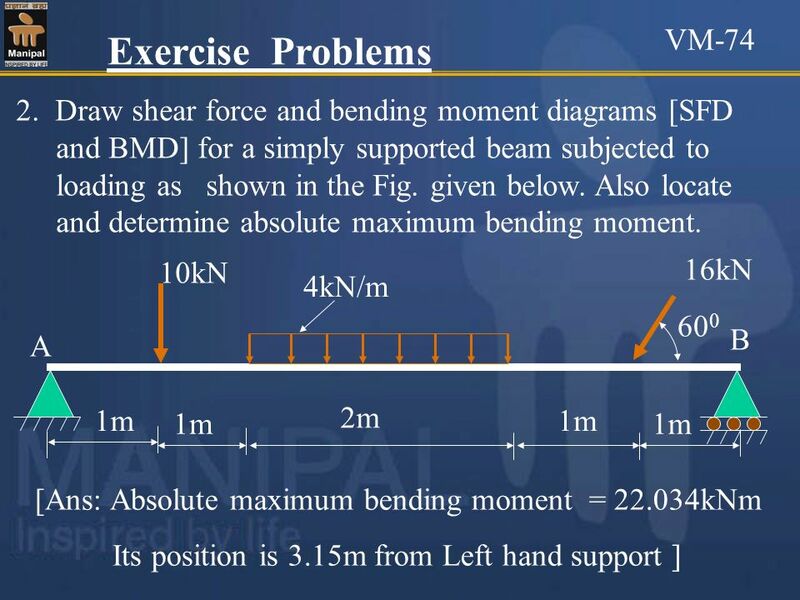 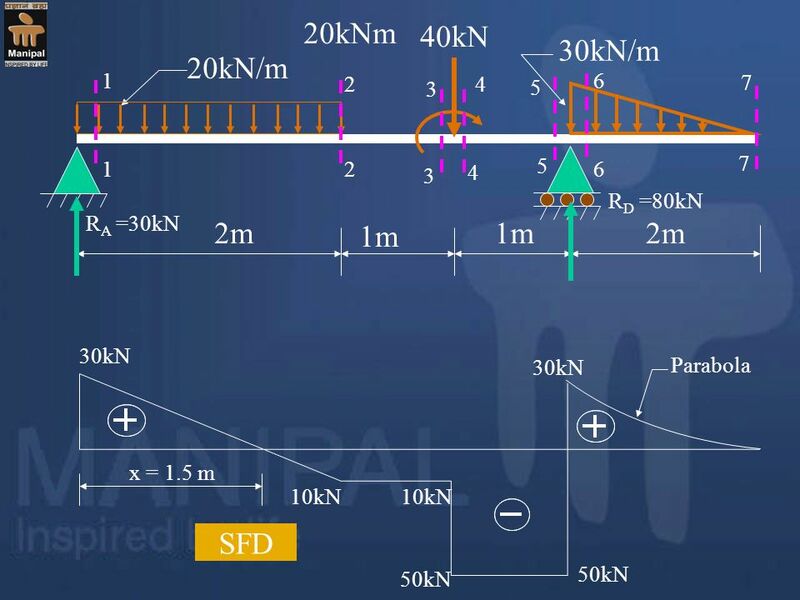 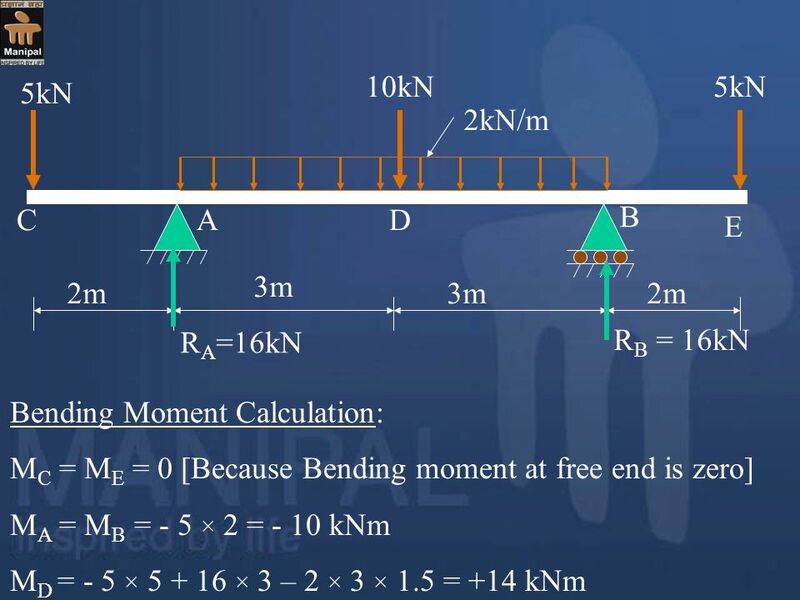 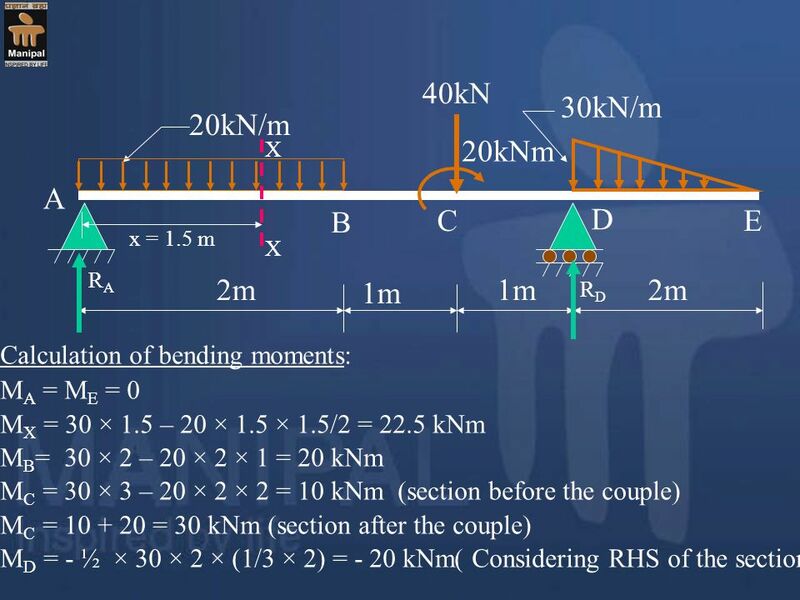 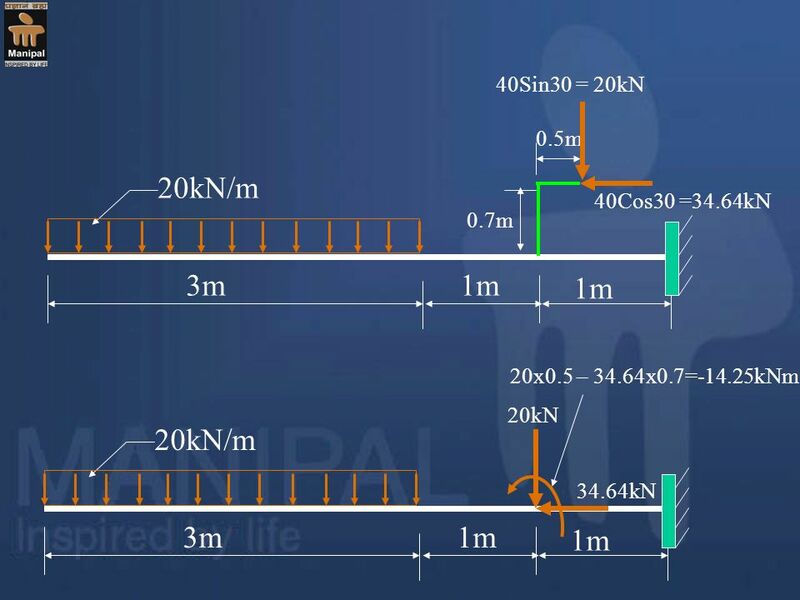 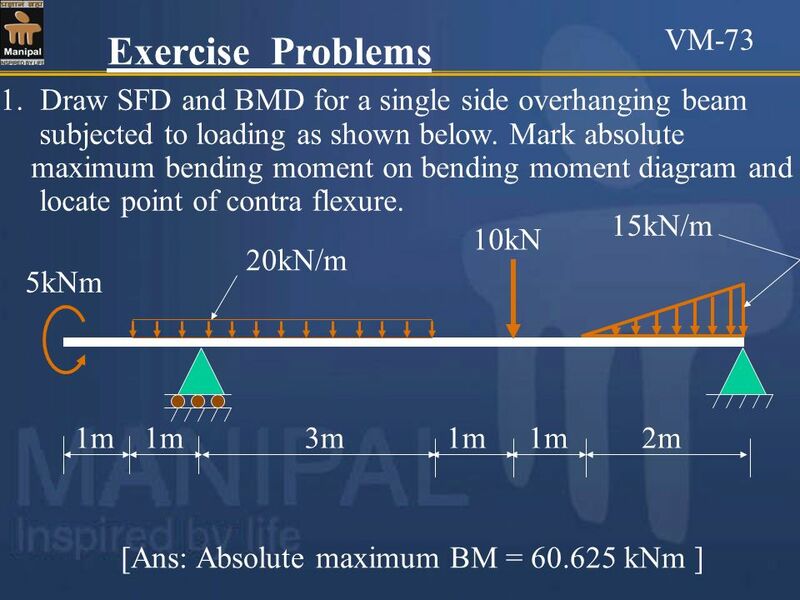 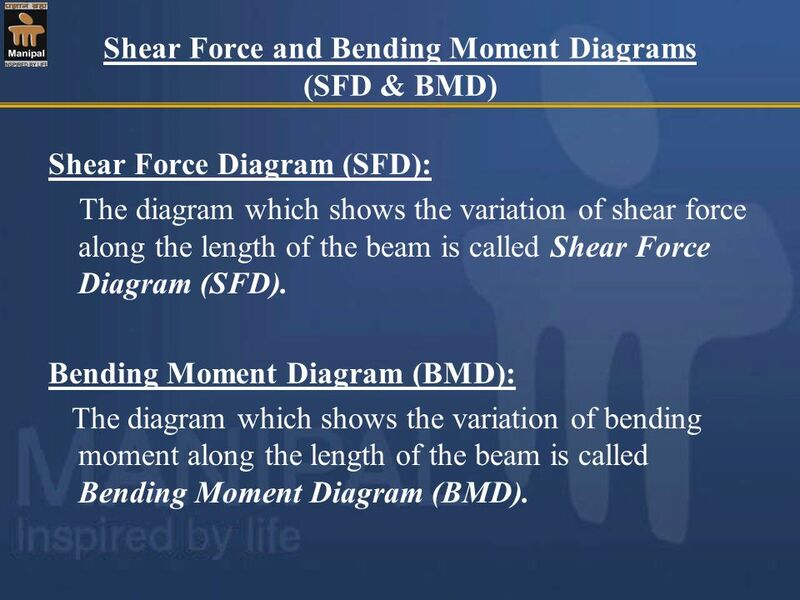 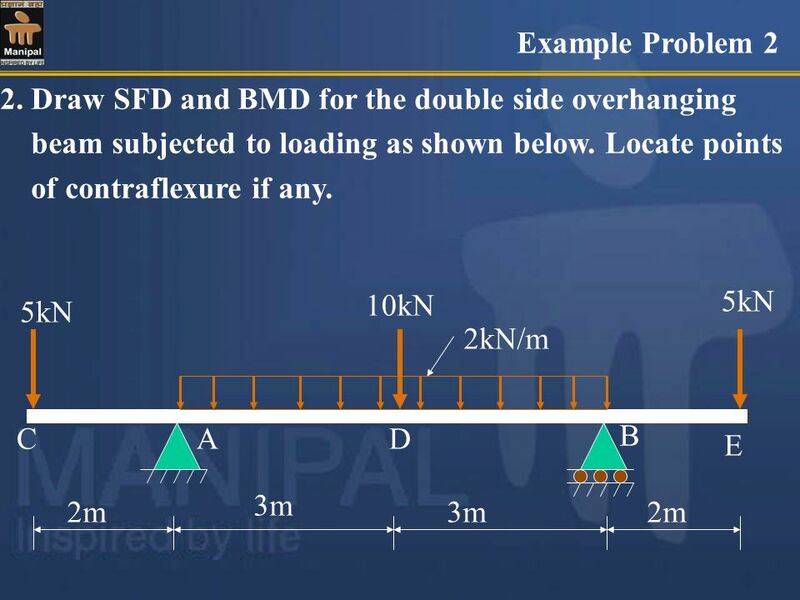 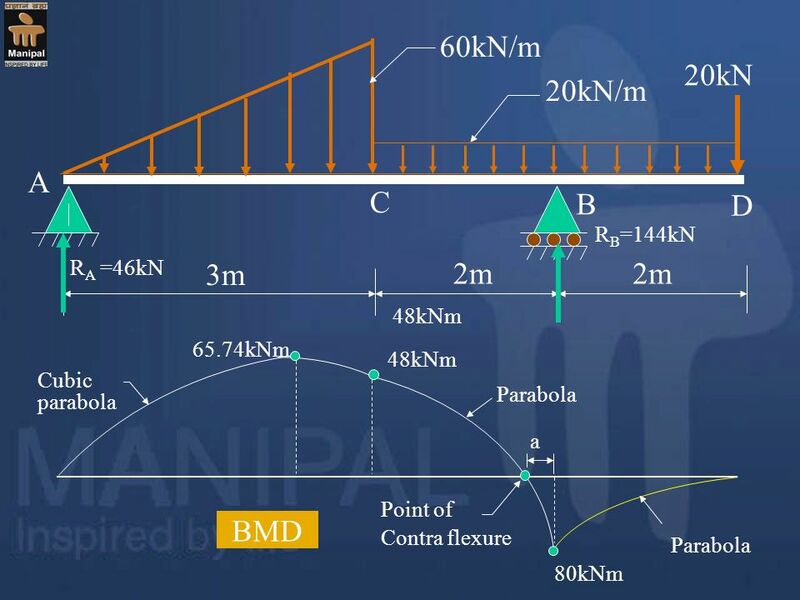 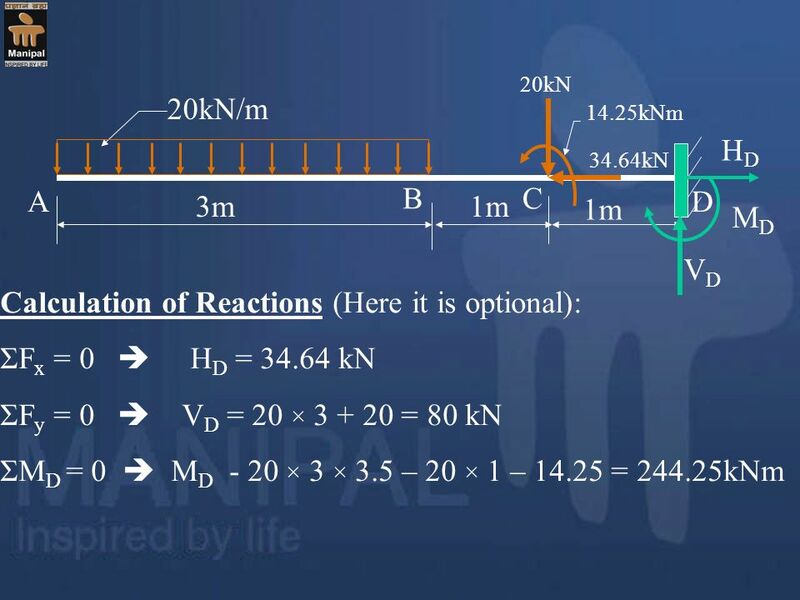 Download ppt "Shear Force and Bending Moment Diagrams [SFD & BMD]"
When you see… Find the zeros You think….